A key additive to the Sabi Sand treatments is an indelible pink dye which exposes the presence of smuggled horns on airport scanners worldwide and warns consumers that the ground-up product is hazardous. April 2013. Toxic infusions are the latest weapon to counter the thriving industry of rhino poaching in the big game areas adjoining South Africa’s Kruger Park. Consumers of the powdered horn in Asia risk becoming seriously ill from ingesting a so-called “medicinal product” which is now contaminated with a non-lethal chemical package. The 49,500 hectare Sabi Sand Wildtuin has launched the country’s first large-scale operation to toxify the horns of its rhinos, together with an indelible pink dye which exposes the illegal contraband on airport scanners worldwide. Many world famous safari properties on the border of the Kruger National Park are engaged in a costly struggle against relentless rhino poaching. The Sabi Sand Wildtuin Association of property owners this year will spend R6.5m on security operations to intercept and head off the incursions – a budget allocation which has tripled since 2008, when the crisis first came to the fore. These defensive strategies, undertaken with the police and SA National Parks (SANParks), are facing heavily armed and highly motivated gangs. The poachers themselves, the starting point of the criminal traffic inside and around the Kruger Park, receive a mere fraction of the R2-2.5m value of each horn from the syndicates that plan the raids and export the material. Yet the size of their pay-offs in the neighbouring low-income communities is ample enough to keep the poachers safe from being identified. 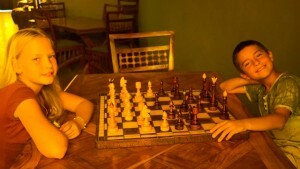 Intelligence is a prime asset in the escalating conflict. 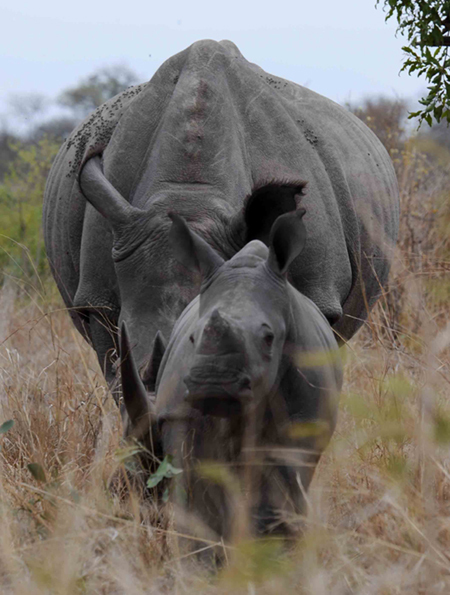 For this reason the numbers of rhino located in the area are kept confidential, as are the numbers lost to date. The national statistics are harrowing enough to the future of wildlife conservation and game tourism. The first spike in the incidence of rhino poaching was in 2008, when 88 animals were lost. This year more than double that number have been butchered in only the first three months. Lorinda Hern of the Rhino Rescue Project, who has co-developed the ectoparasitacide treatment since 2011, measuring the horns for research purposes while Brent Leo-Smith assists. 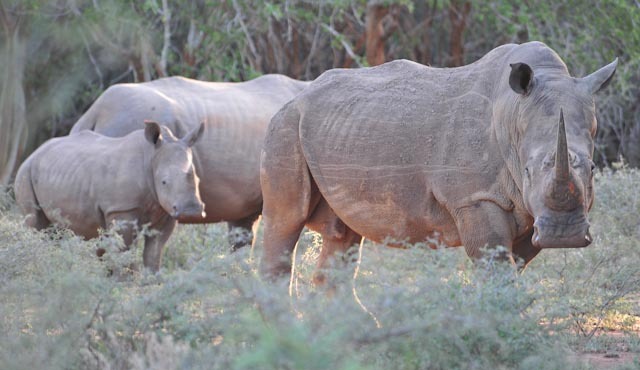 The Sabi Sand Wildtuin Association’s game-changing toxification campaign is as much about sending a message to the illegal trade worldwide as it is about rendering the rhino horns inside its perimeter both worthless and hazardous as traditional medicine. Andrew Parker, 41, CEO of the SSWA, says that compromising the product is the most effective deterrent to the illegal market. Up to 2,000 people are employed in the Sabi Sand reserve, mostly local residents. Information about planned anti-poaching operations becomes common knowledge very quickly outside the perimeter fences. The intelligence is worth tip-off money. Poacher gangs can then blend into the community and enjoy unquestioned access in and out of the Sabi Sand area along the shared local roads. 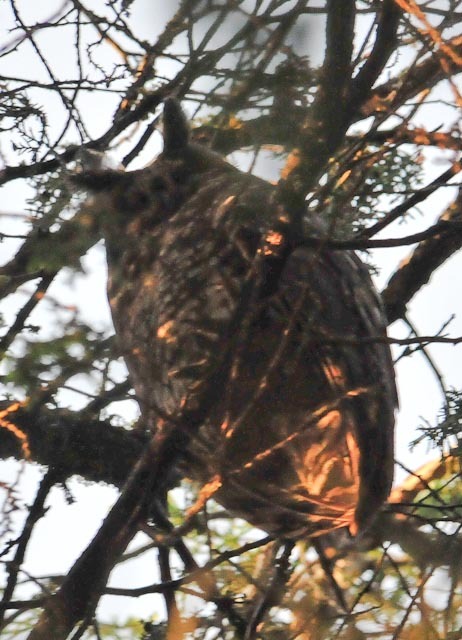 Those operations are essentially defensive, counter-measures based on the surveillance of the daily movement of game and its natural predators. 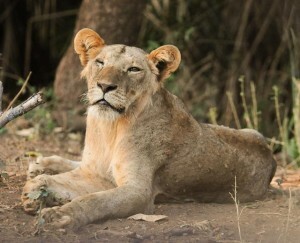 Poachers infiltrating the reserve are spotted and tracked as a matter of course and the information is fed into the communications network shared by the Big Five game lodges and the rest of the Association’s 42 members. The decision to launch the rhino horn infusions was agreed unanimously by the association’s members in February, says Parker, as the poaching threat became aggressive and adroit enough to match the reserve’s combined ranger-watch. “To date, interventions have focused on bringing additional manpower into the field to counter the problem,” he says. “This has proved effective in terms of arrests but not in stemming the rising body count of rhinos. The Sabi Sand properties are making a direct contribution to the national economy of R500m a year, says Andrew Parker, who has a Masters in Ecology and has worked in the SanParks business development unit in Pretoria. The rewards for the poachers are rising as the costs for conservation agencies are similarly rising. The balance of their value chain must be reversed at its source. 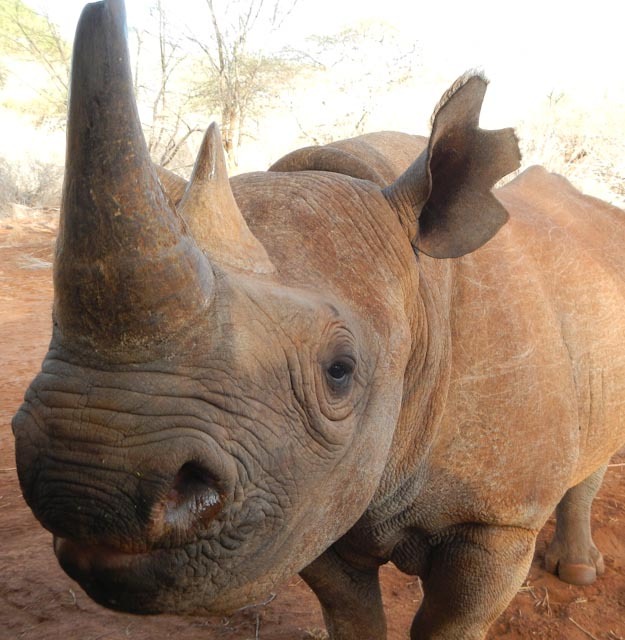 Inserting a toxin into the horns of rhinos is a process which has been used on 100-plus animals in the past 18 months, pioneered by veterinary surgeon Dr Charles van Niekerk at the Rhino and Lion reserve at Kromdraai north-west of Johannesburg. 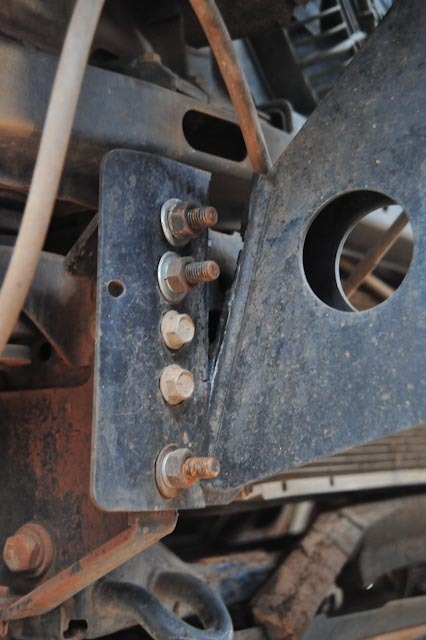 The results have proved to be non-harmful to the rhinos, cost-effective, and an immediate and long-lasting solution for private game reserves which are seen as easy targets for poachers. The only possible danger to rhinos having their horns infused is the stress caused by being immobilised. For this reason, says Andrew Parker, the Sabi Sand treatments are performed outside the hottest part of the day, and the up to 2 ton animals are brought round as quickly as possible. The toxin-dye injections are administered into the horn’s inert (painless) keratin by compressed air. The Rhino Rescue Project’s Lorinda Hern explained to the authoritative conservation magazine Scientific American in 2011 that the toxin is a compound of parasiticides which are used to control ticks on farm animals like horses, cattle and sheep. It is also ox-pecker friendly. While the treatment is for the benefit and improved health of the animals, she said, it is toxic to humans. 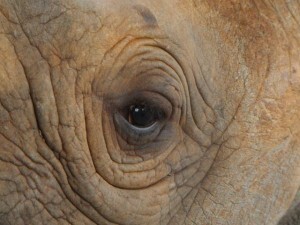 Symptoms of ingesting the drug cocktail – in powdered rhino horn, for example – would include nausea and vomiting. The SSWA has considerable support for its latest initiative. Devaluing the rhino horns is only one of three phases of its strategy to protect and conserve the Sabi Sand wildlife in the long term. Winning the war means building up and motivating a highly-skilled staff on the ground; developing an excellent intelligence network; and winning the hearts and minds of surrounding communities by involving them more and more in the business of the tourism industry. 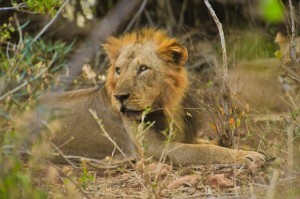 To this end the Sabi Sand owners’ association has joined forces with powerful bodies in the public and private sectors. 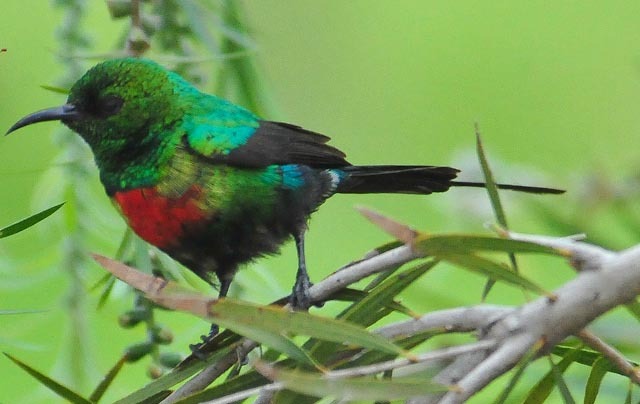 One is SANParks’ Working For Wildlife programme, led by Professor Guy Preston, a government-driven initiative which aims to provide funding to recruit and employ additional manpower. The private-public partnership has been piloted on the Sabi Sand and it continues to fund the recruitment, training and employment of 25 previously unemployed local youth as field rangers. A second initiative is titled Game Reserve United. It combines the field reportage from all the game reserves west of Kruger Park from Phalaborwa to White River. Says Parker: “The earlier poachers are located, the better we can beat them to their targets. Equipment like radar and drones would be most effective in this but they are too expensive for our budget. Good old fashioned intelligence remains our best weapon. By running two forms of deterrent against the lucrative trade the Sabi Sand Wildtuin Association aims to seize the advantage against the poaching cartels in its own area and notify everyone supporting their activities from Mpumalanga to Maputo, from Vietnam to China, that we’ve moved their market’s goalposts. We made our way back from Khartoum to Nairobi, driving through some spectacular places, previously untraveled by us. There are some tales that remain untold, some adventures yet to be described, but the focus of this blog is the C2C trip and the rhino’s. And so arriving back in Nairobi, it was good to see the Sharpe family again and to catch up with other folk we’d met on the way. We then needed to arrange our flight into Egypt and complete the road trip as undertaken, all be it in another vehicle. We’d been offered a free BMW rental from our friend we’d met in Dongola for our stay in Egypt, but we did not feel comfortable with this level of generosity. Back in Nairobi, we had the opportunity to meet with Kenya Wildlife Services (KWS) and present a formal document outlining the benefits of using the Rhino Rescue Project (RRP). With KWS owning all the rhino in their country, it is critical that they sanction and approve all processes for their rhinos, whether the private land owners would like the treatment or not. 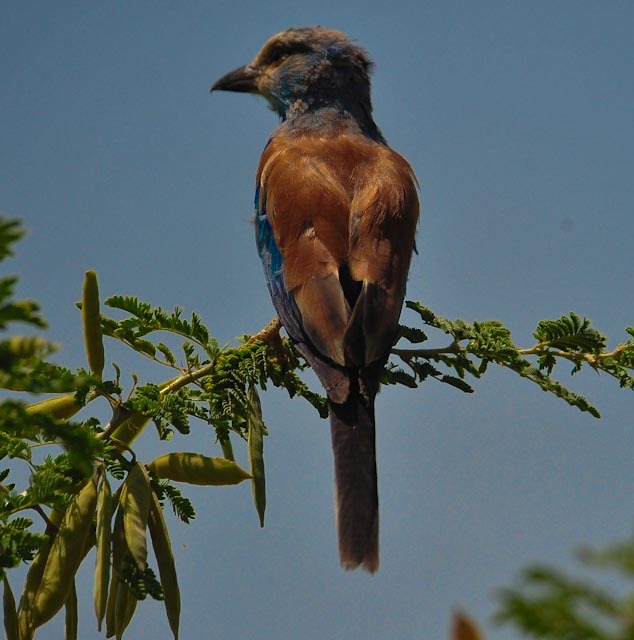 We have been continually well received by conservation champions throughout East Africa, and most encouraged by the efforts that they have in place. There are pockets where the rhino is in good hands, and these areas may even be extended in the future. With the ball in motion, East African Conservationists will soon have access to the best technology in Rhino Conservation. On the way though we thought it best to go past King Tut and pay him and his mates some respect. 5000 years old plus, it was moving to see the start of civilization as we know it altogether at the Cairo museum. Ahmed and his wife Zeze were our guides, and wow they were fantastic. For Danica and Nicolai, they made the museum come alive. The history and characters were suddenly real. Hieroglyphics became Danica’s focus, and she spent some time learning many of the characters and phrases. We were ushered as the last ones at the museum, out. Then we went to see some 3 dimensional triangles in the sand. 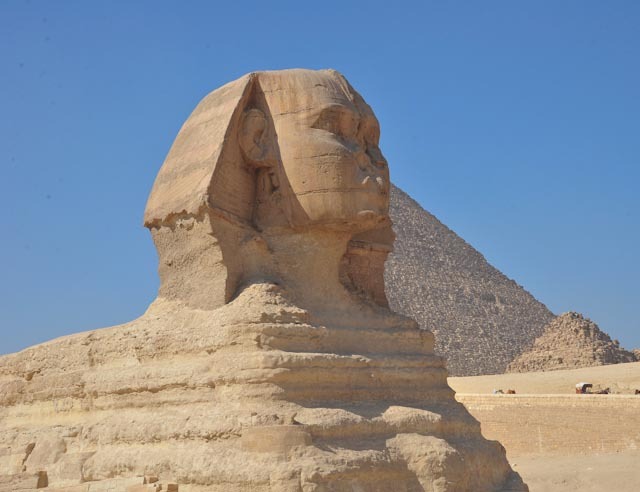 Big stones, 3 tons each piled on top of each other, 230m long and 140m high, it is estimated that the largest pyramid, that of Cheops took 30 years to build, all 2 300 000 blocks. 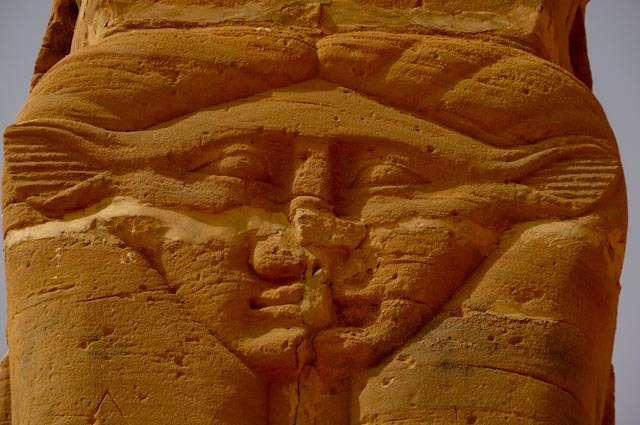 Then there was a wolf-shaped creature with a pharaohs face, perhaps an imitation of Ramses the second. French soldiers did not like the figurine much and shot the nose off, hmm. 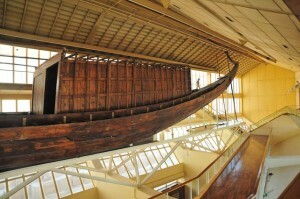 The Sun Boat museum is at the base of the south face of the Cheops Pyramid where five boat pits were discovered in 1982. The boat on display was painstakingly reassembled over 14 years and is an amazing 43m long, held together with sycamore pegs and rope. The exact purpose of these buried boats is not clear, however it is thought to have been a means of travelling to the afterlife. The old part of Cairo had some secrets to show us, and besides the oldest synagogue in Egypt, also had the Church of Saint Georgius to see. saying ‘arise take the young Child and His mother, flee to Egypt and stay there until I bring word: for Herod will seek the young Child to destroy Him’” (Matthew 2:13) and so it was. 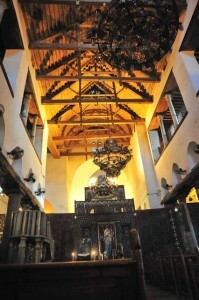 The church Saint Georgius was the site where the Holy Family fled and sought refuge from Herod. This historical church was beautifully restored in the 11th century and is found in this old part of Cairo, which itself is stuck in a time warp. The colourful people that dot the old streets and cafés are entertaining as they go about of their daily business. Lake Nasser was quite a feat. 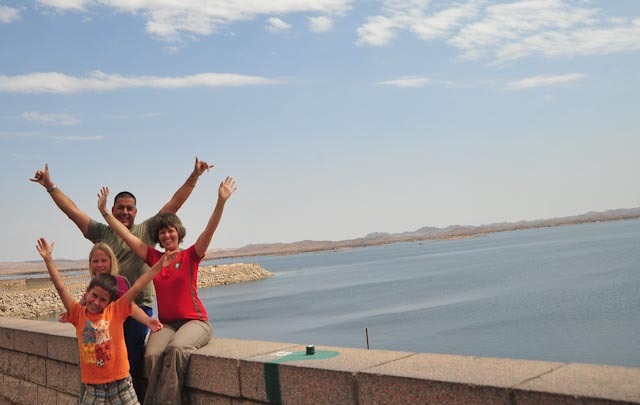 Being part of Aswan, built by the British in 1902, Lake Nasser is the world’s largest reservoir. The dam wall is a feat of engineering, being 111m high, 3830m long and 980m wide at its base and 40m at its top. Perhaps it was fitting? We too achieved our great quest. To all you rhinos that have been massacred by gutless poachers, we remember you. The human race has failed you. We cannot reverse the needless blood that has been spilt, but we pray, hope and believe that your passing has not been in vain. As custodians of this earth, we need to take a stand, the time is now. Land of contrasts: dry and dusty – green and fertile. 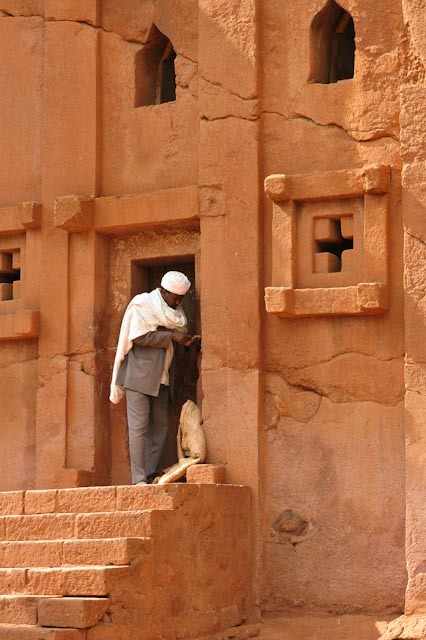 The mud-brick architecture and way of life is unchanged through endless time. Unchanging too is the extreme heat and vastness of this desert land. Every kilometre is a step back in time as if the dominance of the Nile, the longest river in the world, is pitted against the might of the desert. A new understanding of the “sands of time” becomes apparent as we discover ancient sites – themselves being rescued from or succumbing to these sands. 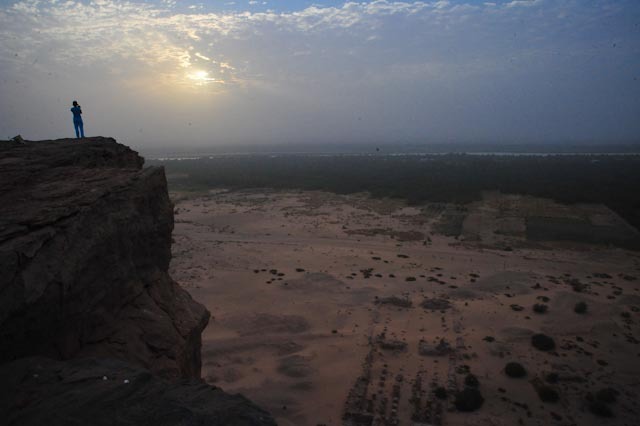 The Nubian Desert encroaches from our left, the Bayadu Desert from our right. We embrace our oasis, the Nubian Guesthouse in Karima, enclosing an in incredibly green lawn. The high-domed ceilings and shuttered rooms are quiet and dark wombs. Treated like royalty as the only guests, we are welcomed with traditional fresh juices: tabaldi (baobab) and karkaday (hibiscus). for this region, we approach the museum where staff and security police laze under the shade of an old and huge fruiting fig tree. Water is dripping from a tap, trickling into a mini Eden. The museum is small and dusty but worthwhile with a mummy still mysteriously giving off a scent. Death? What is death? To the west is a small royal cemetery of about 20 pyramids. 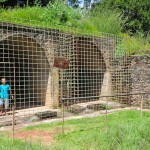 This was where Napatan kings were buried at the turn of the 3rd century BC. They are the most intact pyramids in Sudan, their lines silhouetted cleanly by their outer sandstone casings. Across the Chinese bridge at Merowe, we wind our windows down to feel a part of the sultry breeze and friendliness. 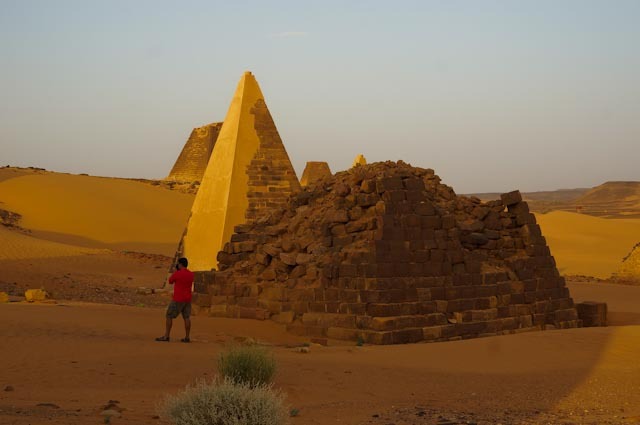 The pyramids at Nuri are crumbing. 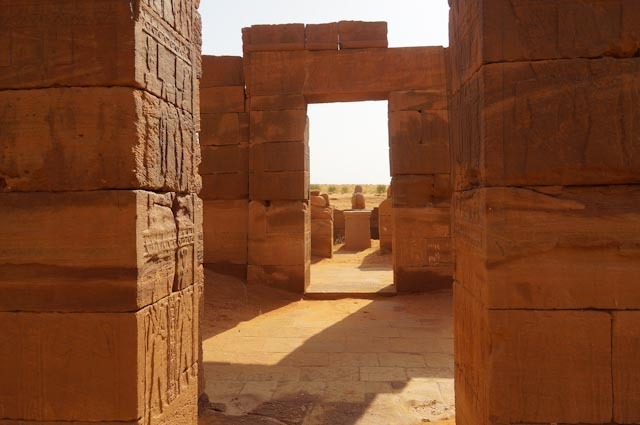 Built in the early 7th century BC in the Nubian Dynasty as a royal cemetery, there are 19 royal tombs and 53 smaller queens’ tombs. Sunset is peaceful and quiet as we marvel, our feet walking upon the sands of time. A scorpion lies scorched in the ashtray as we exit the gate. The staff still lie sleeping out on their latticed beds in the courtyard. But Jebel Barkal, the holy mountain, awaits. It is believed to be the home of the god Amun, the ‘Throne of Two Lands’ – Upper and Lower Egypt (Egypt and Nubia). The ‘oldness’ is palpable in the dawn light. A serenity settles upon us as we view the Nile and its lush edges spread before us, the ruins of a massive temple, the Temple of Amun, at the foot of the mountain, at our feet. A sumptuous, fresh breakfast was followed by a game of chess for the kids (all templed out). I walked to the 150m Kushite Temple built by Thutmose III, Piye and Taharqa. Looking up at the pinnacle shaped like the ureaus – the protective cobra and symbol of the king – was humbling. Touching the columns, tracing the hieroglyphics with my fingertips, walking the smooth stone floors, a strange feeling overcomes me. More than the headiness of the heat and sweat, it is rather something just out of reach but a knowingness, too. Bes, god of dancing, merriment and music, guardian of women in childbirth and Hathor, goddess of festivity, love, dance, the dead and the region of the dead, peer down from atop the columns of the Temple of Mut, the Egyptian sky goddess, bride of Amun. I enter into the mountain itself, into the sanctuary. The feeling intensifies. I stand still. 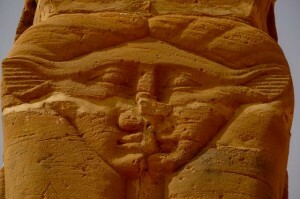 The walls are covered by hieroglyphics and relief carvings, some still with their original colour. Astounding. A birthing chamber lies to the left where the royal wives came to make real the divinity of their lineage, each potential Pharaoh being the son of god, of course. To the right lies a chamber for the priests to receive, store and imbibe the offerings from the commoners. They were led to believe that the gods themselves partook of their offerings but being statues, how could they? The rows of rams silently regarded me walking forward in time, back to Marcelo, Danica and Nicolai. I felt overwhelmed with love for my family – as if I had been away from them for ever so long and I couldn’t wait to see them again. Danica was writing in her diary; Marcelo was busy at his computer and Nicolai was helping the gardener. My preciouses! 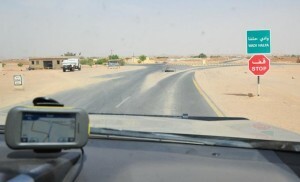 Unmarked, I mean in English, the highway takes us ESE to Atbara and then SSW towards Meroe. A South African registered 4×4 almost gets a hug from us as it sat waiting for its owners outside the Pyramids of Meroe. Instead we left our card on the windscreen to say ‘hi’. Knowing they would camp out under the stars gave us a twang of disappointment that we had not brought our trailer this far. Seeing these magnificent structures, the children could not believe they had been decapitated in 1834 by a greedy treasure hunter. 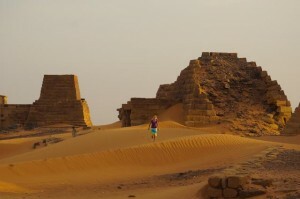 Some of the funerary temples have been restored and there is a wonderful sense of companionship amongst these pyramids. The children go on a camel ride, Nicolai giving a little yell as his beast lurches from a seated to an upright, standing position. How they sit with their ankles and knees as sharply folded as they do amazes me and I know it did Lyall Watson too as he has written on just this topic. About 100 pyramids commemorate and guard the dead kings, queens and nobles of the Kushite era. And we thought Egypt was the only place with pyramids! donkeys and woolly, fat- and long-tailed sheep. 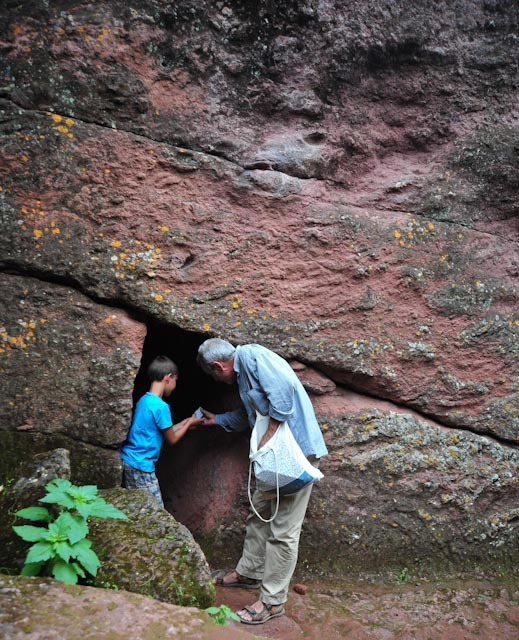 “Thirty-five kilometers of tracks off-road to see more temples,” says Nicolai disdainfully. Promises of tea and a snack ease him somewhat. 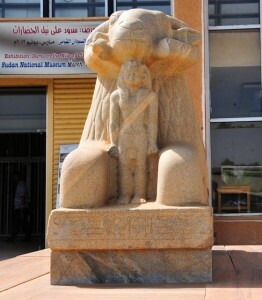 Naqa is the place of the Temple dedicated to Amun erected in the 1st century AD by King Natakam of Kush. It is laid out according to the typical Egyptian floorplan with an avenue of rams, an outer court, a colonnade approaching a hypostyle hall and an inner sanctuary chamber. The Lion Temple is beautifully preserved with clear reliefs of the lion-headed Kushite god Apedemak and his wife Amanitore. They stand triumphant over their vanquished prisoners. 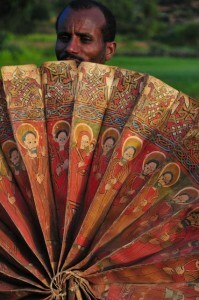 He is also represented with a snake’s body emerging from a lotus flower. The art and representations in the temple and the kiosk alongside have been influenced by Greek, Roman and Persian flavours. The nearby well and waterhole is visited by a nomad and his three girls on donkeyback. We eye each other out, gesturing and smiling in a friendly manner. We come in peace. A meeting of travelers from lands far away and a nomadic tribesman that could speak of time gone by – even to that of the building of these temples. Who or what or what pantheon of gods are his now, I wonder. Niles, it feels somewhat like home where we, too, live on the confluence of two rivers. Moving in so southerly a direction feels strange after nearly 11 months of a more-or-less northerly bearing. The past and future seemingly blend into the present. Which civilization is older – Sudan or Egypt ? Burning flags, setting cars on fire, another rally, another protest. The ‘Americans’ had made a film supposedly depicting the prophet Islam as a womaniser and party animal. Muslims around the world were upset. Americans and other white ‘pseudo Americans’ were now targets. What to do? We had survived the death of two presidents in the countries we had travelled so far; was this going to be a game stopper. The playing fields with a 7 and 10 year old are different. This part of the trip was not particularly moving to me. There were no exciting endangered carnivores, or hectic special endemic birds. This was almost purely for the rhinos and completing the C2C route. And so we entered a decrepit border office. Really stuffy, time warp stuff. 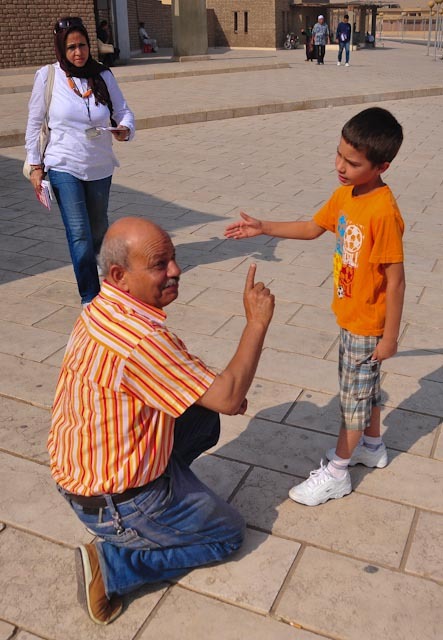 “just wait a minute …” having no Arabic other than ‘thank you’, body language becomes default. The immigration official disappeared and within minutes the sound of a 1965 Massey Ferguson type engine started up, and then a rattly ceiling fan and spluttering lights – we had power. I was to learn that paperwork in Sudan is important, very. I filled in one typical form and handed it over, we already had Sudanese visas. This was then extrapolated into 3 other forms filled in in Arabic, photographs added and photocopied twice (this was why the official needed power). The family looked at me, I looked at them, we tried to smile. We were in, and made our way from our border post at Galabat. 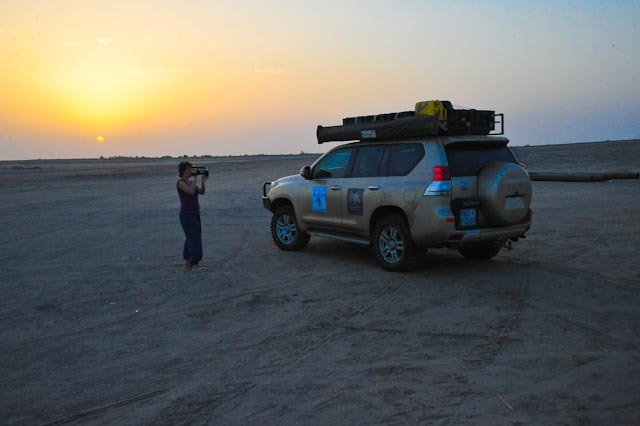 We were due to overnight at Gedaref and then reach Khartoum the following day. In our guide book, we had been warned that this was a two day affair. However we were pleasantly surprised at the road condition. Reaching Gedaref around 15h00, we estimated Khartoum to be about 4-5 hours. There was little to attract us to Gedaref and the ‘overnight’ places seemed dreary and unattractive. This was essentially breaking our golden rule of not travelling at night. It was only about half way into the final leg of this stage that we got a range flash on the dash board and a message ‘check fuel system’. 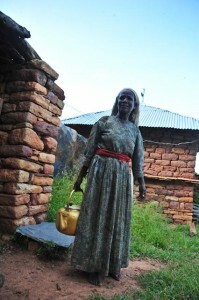 This message had reared itself once before in Ethiopia but we had filled up and all had been ok. The fuel gauge was reading just over half a tank, normally we could do 500km from here. Perhaps the vehicle was just not reading the fuel supply amount correctly? Pushing on we ‘ran out of fuel’ with half a tank of diesel 150kilometres out of Khartoum. It was dark and approaching 20h00. Trying to start, Staffie sparked, but there was no fire. Fortunately we had run aground in an area which was between towns. There were cars bustling about and in the distance I could make out a light system that could well be a filling station. There were even tuk-tuks (3-wheeled motor bike taxis) going by, I hailed one down, another walker-by also joined us. Without English I charaded out the scene of needing to get some fuel. After numerous repeat gesticulations, he pointed out the jerry can on the roof, ah the jerry can. I embarrassingly remembered as my coin dropped. The 2nd person on the scene was an engineer and he disappeared, returning whilst I was still undoing the roof straps, hands full of drinks for the children. He then continued to help as we emptied the jerry-can’s contents into the fuel tank. Staffie started second turn. Mr ‘Kind’ would not accept payment for the drinks nor for his assistance. We left each other in smiles, and the family hugely impressed with Sudanese people. We got into Khartoum close to 22h00, arriving at what was to become an oasis for us, the Acropole Hotel. Mike his two brothers and family members run the hotel. As a guest, one immediately becomes part of the family. Nicolai felt at home with some DSTV to watch and the friendly eyes of Mike and his team, they even had home-made ice-cream. 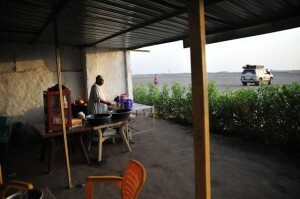 In Sudan, Friday is their Sunday, all government offices and businesses are shut. Saturday is like a Saturday, with some businesses & government offices shut. We had to be registered with immigration in Khartoum, find out about a possible re-entry visa into Ethiopia, get a permit to allow us to travel into the north of Sudan, as well as obtain photographic permits. The national museum of Sudan was open on the Friday and we opted to catch up on some Sudanese history. My eyes were opened. I did not realize how beautiful and prominent Sudanese culture was. along with a host of Archangels, saints and apostles. 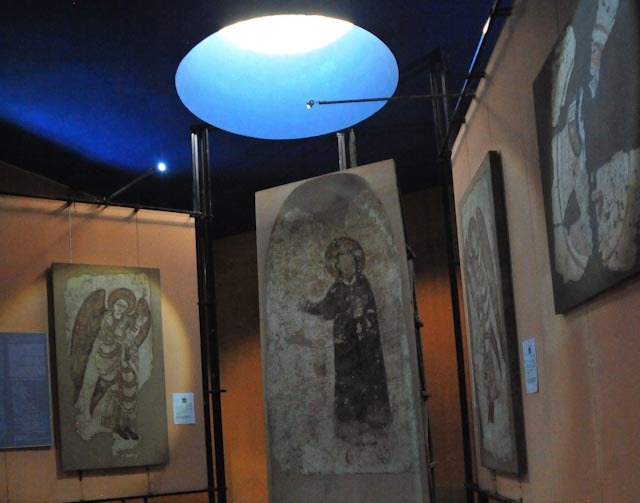 The style of the frescoes is distinctly Byzantine, reflecting Nubian links with the Roman empire in the east. 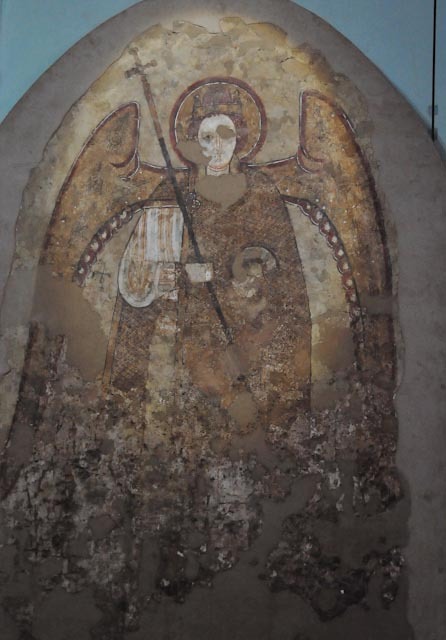 Many paintings were taken from the cathedral at Faras, now submerged under Lake Nasser. 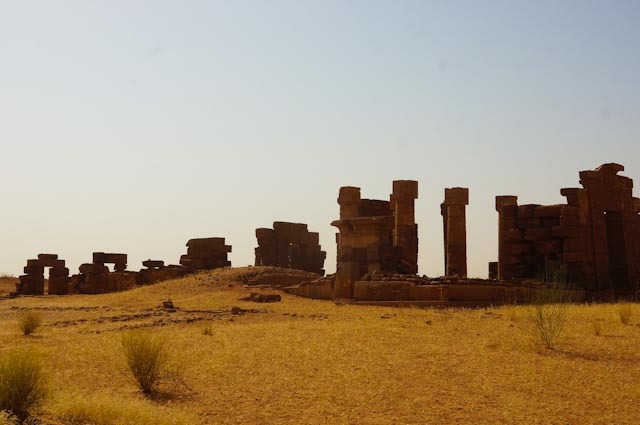 There are also the remains of three Egyptian temples, rescued from the rising waters of Lake Nasser in the 1960s when Aswan dam was built for hydo-electricity. 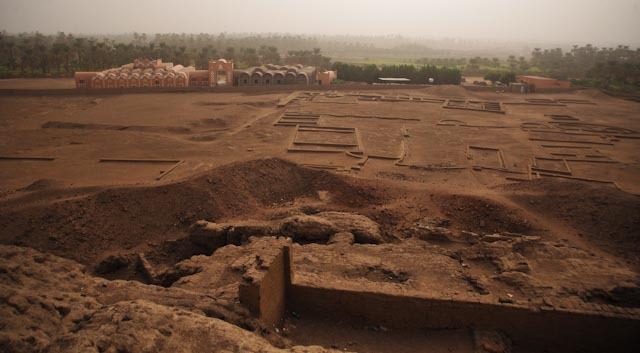 The temples from Buhen, Semna and Kumma all date from the 18th Dynasty (1550-1295BC) a time when Egypt was consolidating its southern borders with Nubia. 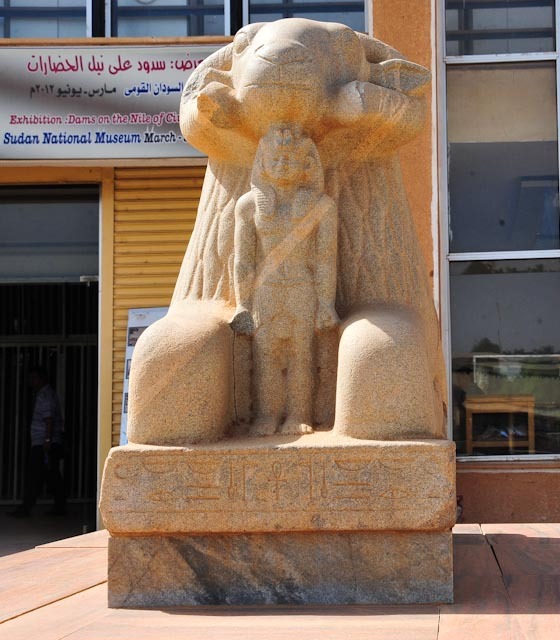 Also outside are two rams with a figure of Tarqa between their front legs from the temple of Amun at Kawa, and the massive granite statues of temple guardians from Tabo from the Kushite period. 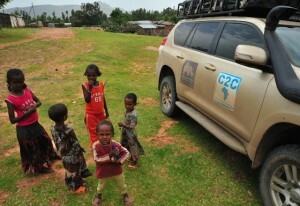 The car air conditioner did not cope particularly well, and finding a place to overnight in Dongola proved a challenge. On the third attempt, we found … well for R400, we got four beds in two rooms. They were not clean, but the room had a sort of working, dripping air conditioner. 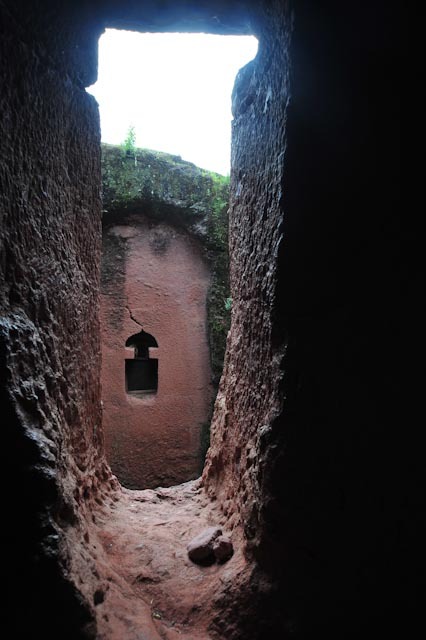 Bathrooms were a smelly affair, down the passage, a hole in the ground. The shower spout was part of the toilet ‘room’. We slept fully clothed, with our towels on the pillows. The road trip to Wadi Halfa and back, 800kms was long, dusty and uneventful. Halfa is really crappy and unrecommendable. We arrived, tasted juice & chicken and left without looking for a t-shirt. 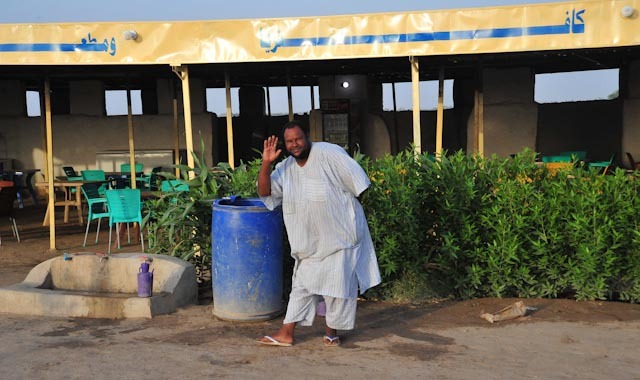 Arriving back in Dongola, the owner of the hotel, Ibrahim Sikra (meaning trust) insisted on us having tea together. Ibrahim was engaging in his argument that Sudan was severely undersold to the tourism industry and that She had so much to offer. 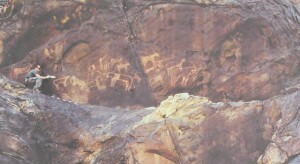 The beginning of the ancient civilizations as the world knows it was to be found in Sudan. 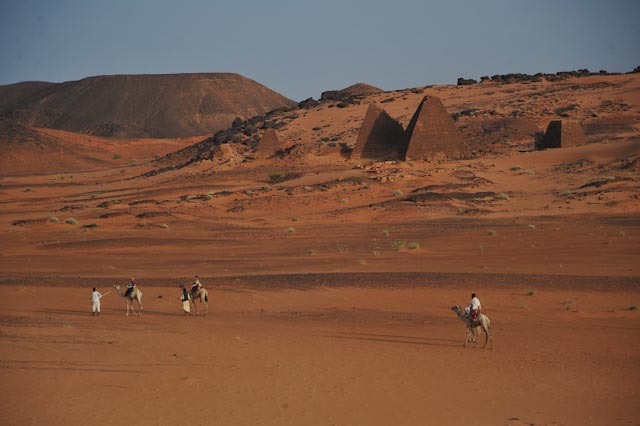 We were offered his home and motor vehicle in Egypt when we get there, and please to “… tell people to visit Sudan”, and so it is and was that we visited Kerma the following day. Kerma was the Capital of a Kingdom stretching more than 1000 km along the Nile. This lay at the crossroads of Central Africa, the Red Sea and the Southern Sahara. Its enormous necropolis located in the eastern desert numbers 30 000 tombs. Chapels or temples built near the burial site of high-ranking individuals indicate the practice of a funerary cult. These mud brick structures or deffufasdating from the earliest Kushite period are over 3500 years old. The western deffufais 50m by 25m and over 48 metres high. Bodies, along with the owner’s possessions and food offerings for the afterlife were buried in oval pits and covered with a low tumulus. The body was always laid with its right side aligned east-west, with the head to the east looking north and the hands covering the face, and the whole under a shroud of cowhide. Royal tombs were more elaborate. 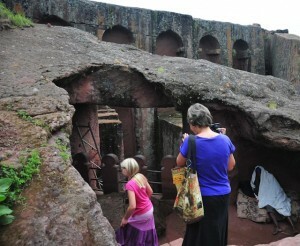 With a corridor leading to a vaulted chamber, all lined in brick and sometimes covered in paintings. A large marble slab covered the ground mound. Sacrifices were common, with royal bodyguards, servants, wives and even children being buried along with the ruler. 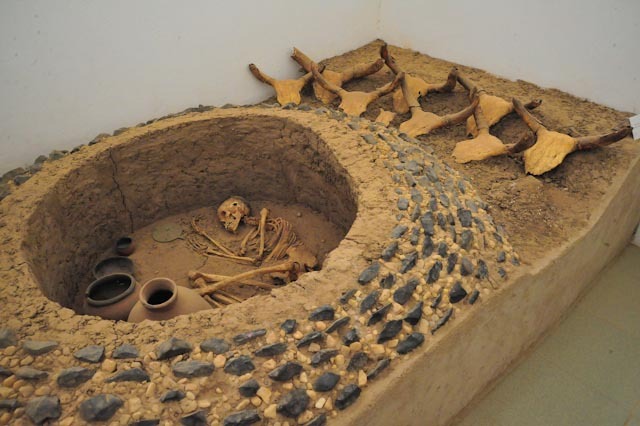 When excavated, one royal tomb contained over 300 sacrificial victims accompanying the king to the afterlife. Cattle were also sacrificed in large numbers; it seems Kerma was a fantastically bloody culture when it came to giving their rulers a bloody send-off. As Roald Dahl would describe a whizpopper – a small explosion between the legs. 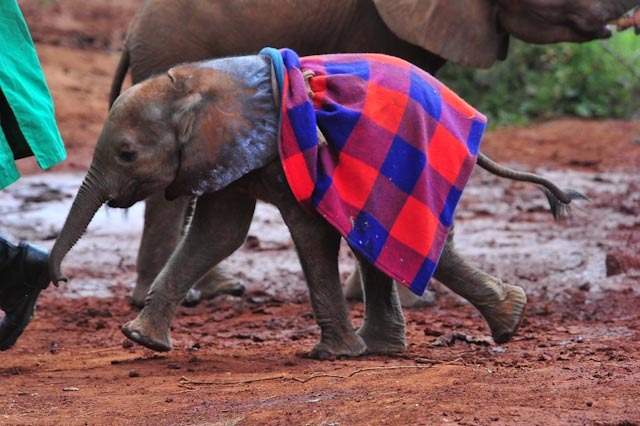 One comes to realize that this is a bit of a luxury travelling around these parts of Africa. We’ve had a surprisingly good run considering the lengthiness of the trip. After 10 months, it is only now that we are battling to fart with confidence. As one approaches the horn of Africa, yeast and or baking powder ceases to exist. 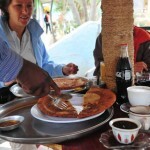 Raised bread is replaced with injera or teff pancake. This seems to have a sour/bitter after taste and accompanies just about any dish. This is served on a large tray that would normally hold about 12 beers at the local pub, but presentation in these parts is the injera in the middle, flopped over on the edges where the size and shape is inconsistent with that of the presentation dish. There is then a sauce of sorts, in a bowl in the middle. This sauce depends on what is in season at the time: a touch of onion, chilli, tomato, chickpeas, paprika, sometimes meat, sometimes other vegetables like aubergine, garlic. There is a lack of seasoning generally. 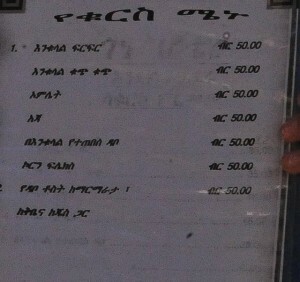 So who eats injera? Everyone. Why? There is nothing else. I have always believed in eating local, sampling culture so to speak when visiting a new country especially. Mostly everything works out fine. Every now and then a gogga (Afrikaans for little gremlin) gets into the system and then things go wrong. Nicolai & Danica have not really got into this food wholeheartedly. Maybe this has some positive points. They have probably got a lower germ count than one who would typically attack this food vigorously. I know it is uncool and unhip, but after travelling in these parts a while, one looks forward to the odd establishment that has a menu that one can recognize, sort of know what you’re eating. Even toast can be used as a plug, I mean food of recognition. Tasty with a marmalade spread, not much hint of citrus skin though. 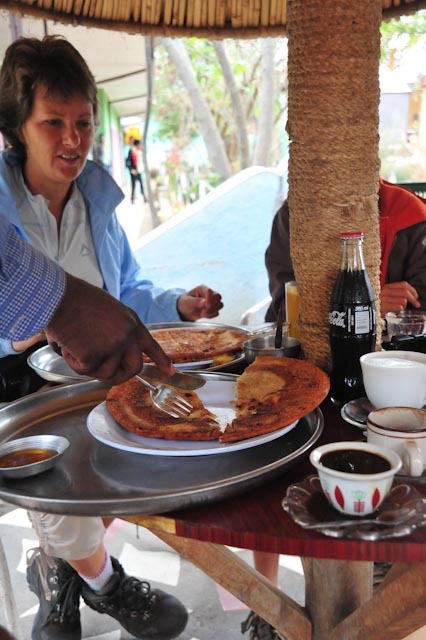 Sudan replaces injera with an equally flat, unleavened bread. This again is served with everything. There is a bean type curd called ful. This is a premium dish as sometimes the food is eaten just with the sauce that has had these beans in it. This is presented in a metallic cooking jug or gidrawhich could also be used for milking goats. I’m unsure if this ever gets emptied out or whether they just add more beans from time to time. Once again seasoning is absent, perhaps the salt traders and their camels from the Danakil do not come this far. King kept lion’s to show their mightiness. Into the rock was carved a channel so that the rain water could flow into a storage pond. Fasalidas’ descendants built the other 5 castles. Fasalida’s second house was surrounded by a sunken pool. The water was full of green algae which felt slimy in between my toes as I went to fetch my fallen slip-slop. Mommy teased me that the holy water would heel my stinky feet. 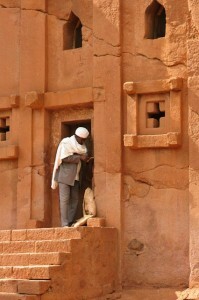 During Timkat in January the priests give blessings with the holy water. We woke up full of energy knowing that it was a long journey. When we looked at the view from Gonder’s hill top it was very smoky because of Meskel. 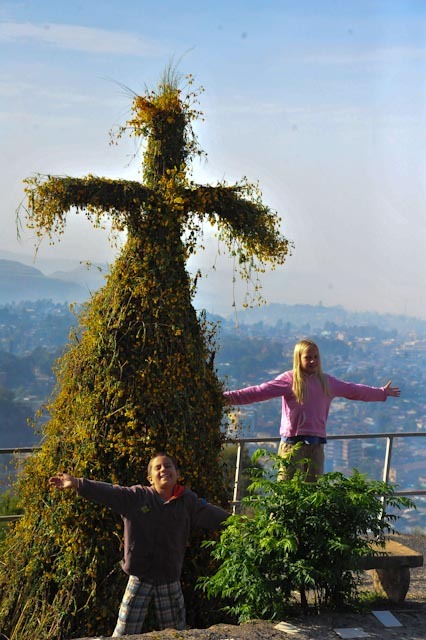 Meskel is a Christian holiday which is the time to build crosses and cover them in yellow flowers and then burn them. 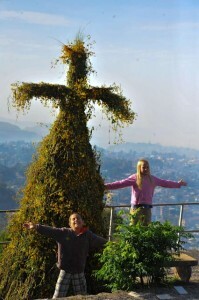 This celebration is a symbol of the Christian faith. 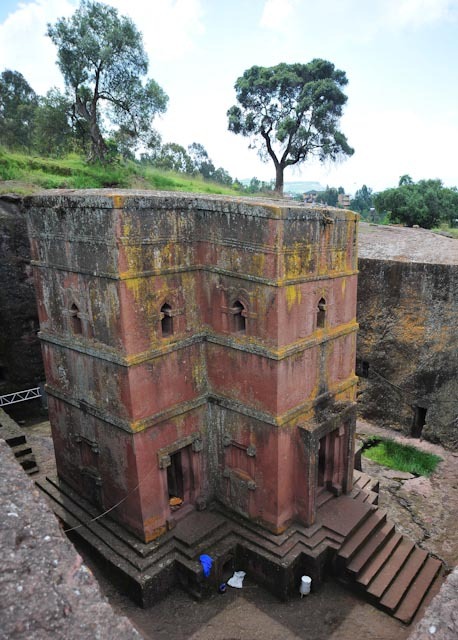 The story goes that a queen from Lalibela found the true cross on which Jesus was crucified by following its smoke. Welcome to Sudan! It is very dry here but yet the people are very friendly. Like for example, on our first night our car was driving peacefully. Then suddenly the engine gave way (cut out). It was not reading the diesel. 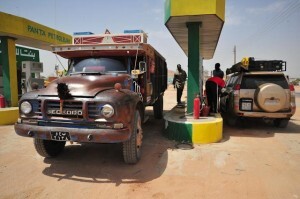 Luckily we had extra fuel in our yellow jerry can. While waiting, an engineer passing by was very kind. He helped Dad and bought us two apple juices and two waters. When we tried to offer him money, he wouldn’t take it. A friendly stranger indeed. 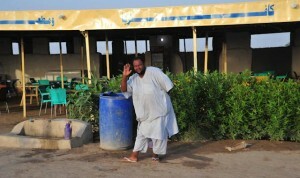 We were welcomed a second time into Sudan by Mike at the Acropole Hotel in Khartoum. It was late at night but we woke up to have our ice-creams. “This is like the worst road in Ethiopia,” said Nicolai. “But imagine when it’s all tar,” Mom encouraged. “I don’t understand why they don’t just work on 10km instead of all 70km to Debark,” I replied, “much easier.” Our base in Debark was the Emet Gogo Hotel (named after one of the mountain peaks). It wasn’t much but the food there was fair and everyone very friendly. Tomorrow we would find out about getting into the park and accommodation there at the head office for it was already half past six and the sun was going down. The morning was a slow one and the family slept in till 7. A person at the office said that we had to take a scout with us. So in other words, a big, grumpy man in an army suit with large feet (which meant that we had to move extra things onto my lap) and a gun sat in Mom’s place. Mom and Nicolai had to squash together the whole day. 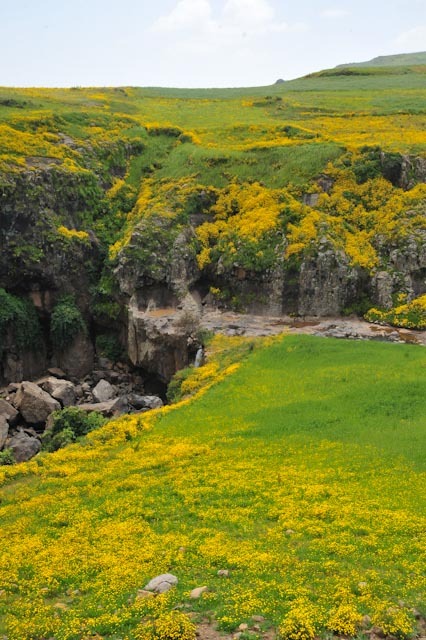 It happened to be the season of yellow flowers and they were growing everywhere on steep mountain slopes and down by the river that was 2km below us, crashing in three waterfalls down a deep gorge. When the densities were at their highest there was not an inch of ground to spare and the brown was covered with a beautiful yellow as pure as the golden stomach chakra. I was disappointed about what was written in the information pamphlet that we had bought and to see it was not true. 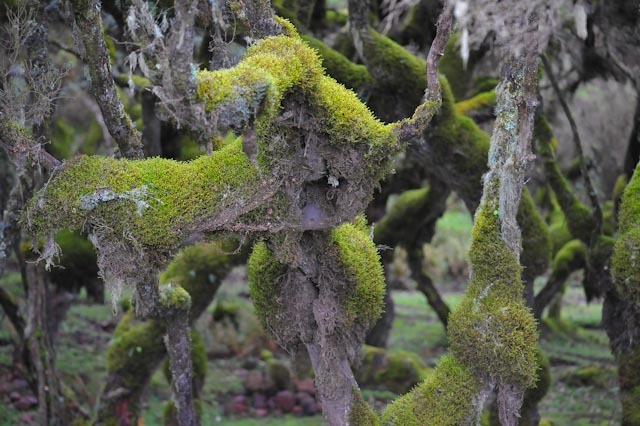 It read: ‘Simien is one of the last Ethiopian mountain habitats that are still virtually natural.’ Unfortunately it is cultivated throughout and very much inhabited and overgrazed by livestock. Whenever we stop at a viewpoint or get out of our car the little herd-boys come rushing up to us with fly swatters chopped from their poor horses tails and woven hats that always seem to be wet. 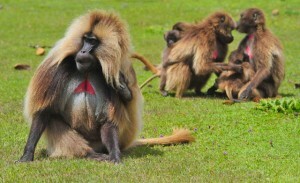 I’m not trying to be mean but how can you conserve the last of three species like this? To me a national park is a place where animals can live peacefully without human interference and the ecosystem can be natural. I like to go to the wilderness to get away from the outside world and its noise; to be alone and to calm myself down. I can easily see why there are too many people in Ethiopia because many families have many children. So from two people eight more are produced which is no way to keep a balanced population. 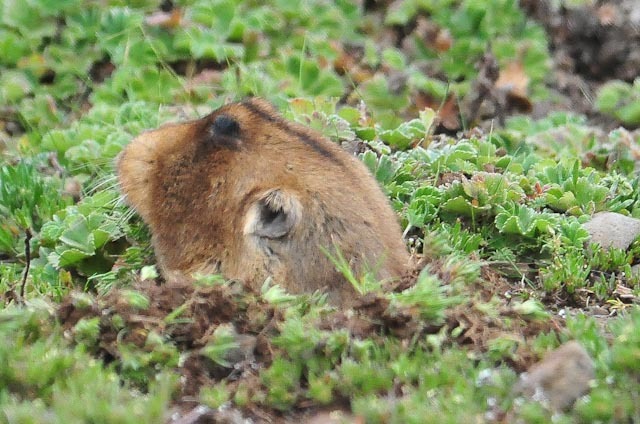 to see them in groups of up to four hundred that stretch all the way down the mountainside to the classic stream of icy water running in the valley like a lush, light green tablecloth with little, brown furry bodies dotted unevenly all over. They were a lot more beautiful than on Planet Earth. 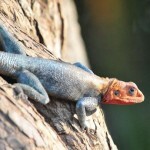 Both sexes have a red, heart-shaped patch of skin on their chests which looks quite scaly from afar; a very long tail, lighter than the rest of the body and they were covered in hair, almost doubling their real size. They are also equipped with the strongest fingers of any primate because they climb up and down their sleeping cliffs, spend at least two hours grooming every day and pluck their only food, blade by blade. 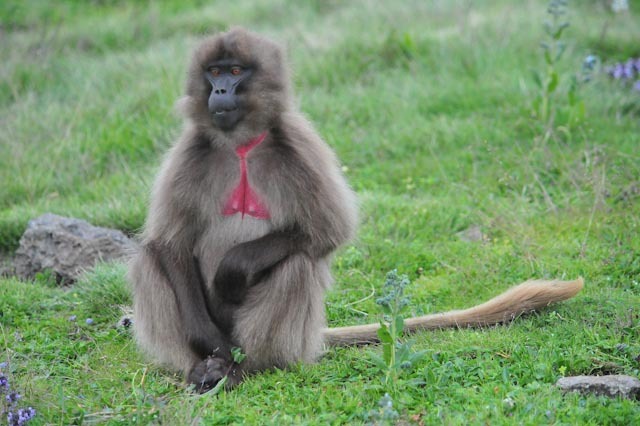 That’s right – geladas are the main herbivores in these high meadows. 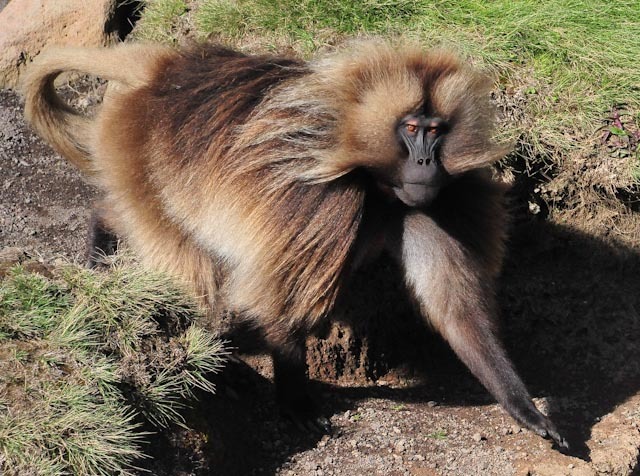 The geladas are very calm animals too, which means that we could get close to them easily and that was why I was so disappointed and angry to find I had left my camera battery in Axum! Dad and I actually spent time sitting right in the middle of a group. 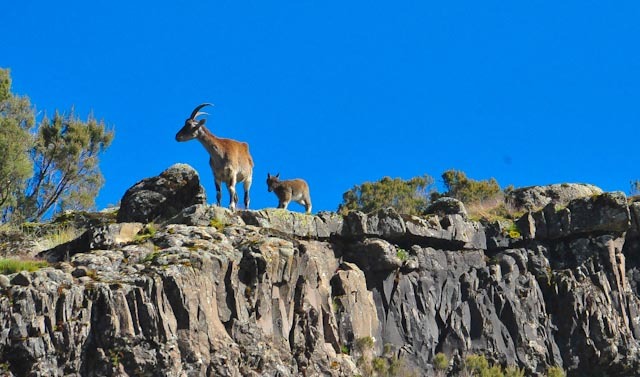 When the sun was just rising and the rock doves were just starting to coo, we left the hotel and drove all the way to the other side of the park, the only place on earth where we had a chance to find the Walia Ibex. 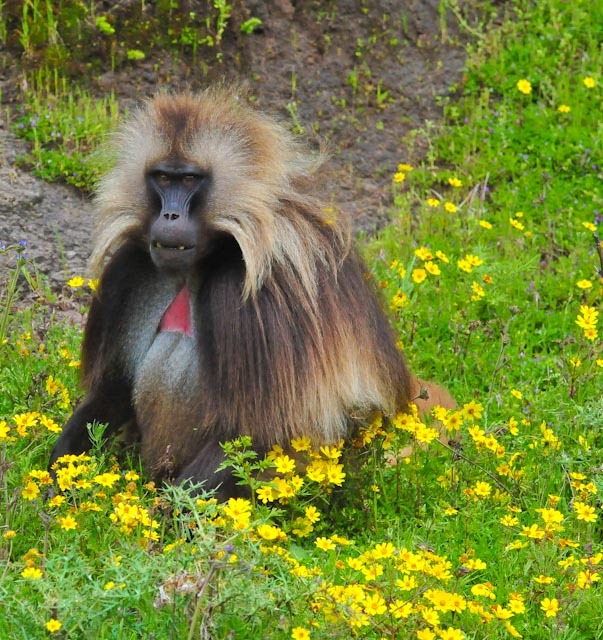 It is much easier to view the landscape in the morning before the clouds blow in but all the geladas are still hiding out on their cliffs. “Our group,” said the scout, “is much lucky.” The herd of 24 that we spotted was most interested in the Giant Lobelia leaves which seemed quite inedible to the touch. Too bad I felt sooo sick that day! 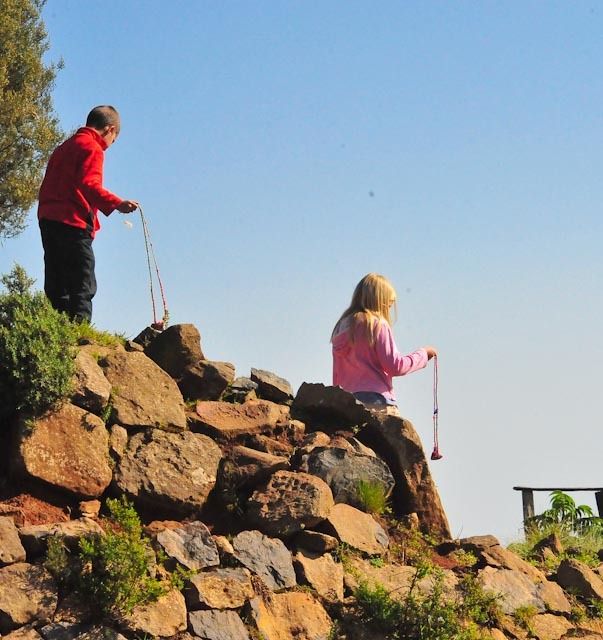 The Lodge’s very warm beds were a treat and from its curio shop we purchased our sling-shots, rolled by the local children out of their own sheep’s wool. At first it was hard to swing it without the stone falling out but soon the pebbles were all on the other side of the road – like David and Goliath! Northwards ho, we leave behind Bale and drive through Shashemane, the Rift Valley Lakes: Shala, Abiato to the west; Langano, Ziway to the east – formed during the last ice age. 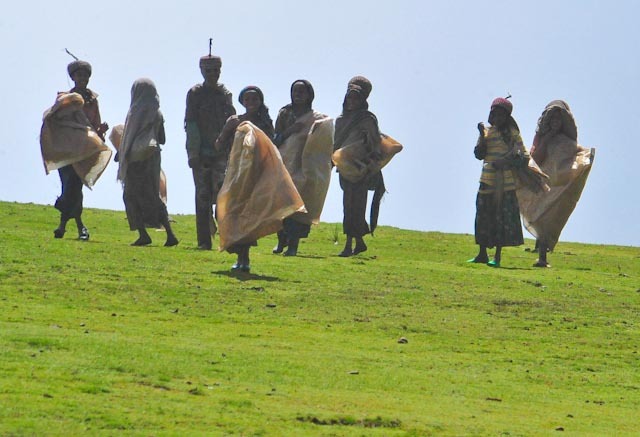 Expectations and experiences thus far have been mixed in Ethiopia with the smiles and wacky sense of humour contrasting with the huge population and lack of open spaces or privacy. At Ziway whilst Marcelo was banking and purchasing bread and drinks we were in the midst of what had been described to us by previous travelers. Children, selling a range of items, quickly surrounded the vehicle, tapping and then insistently banging on the windows and attempting to open the doors. 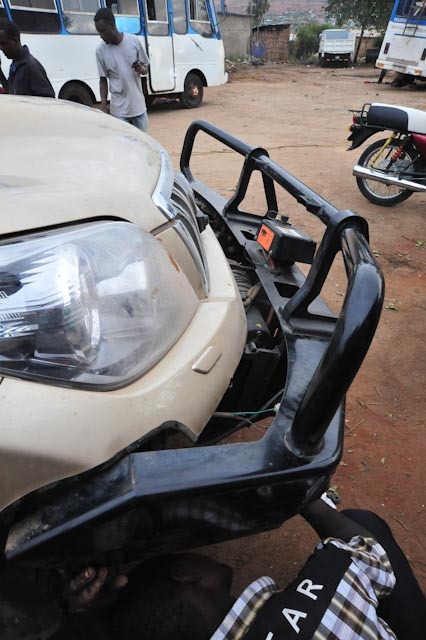 They sat on the bull bar and tried to pry the motor of the winch free – all under the two bank guards’ indifferent gaze. We have some difficulty finding Wim’s Holland House, a well-known overlanding and traveler’s spot. A little spot it is, lying as it does next to the railway station. Dutch Wim and his Ethiopian wife opened their last room for us as most have been reclaimed by the government in order to rebuild the railway station area. So as the only guests we did not achieve the traveler’s interaction we had hoped for. Whilst the children played with the dogs and puppies, Marcelo and I, somewhat morbidly, sat and watched the horrors of US embassy attacks and flag burning in Cairo and Khartoum over an anti-Islam video released over the internet. Our next two destinations. What to do? Fortunately this cloying gloom seemed to belong to the dirty, disheveled city and lifted as we departed north-eastwards. 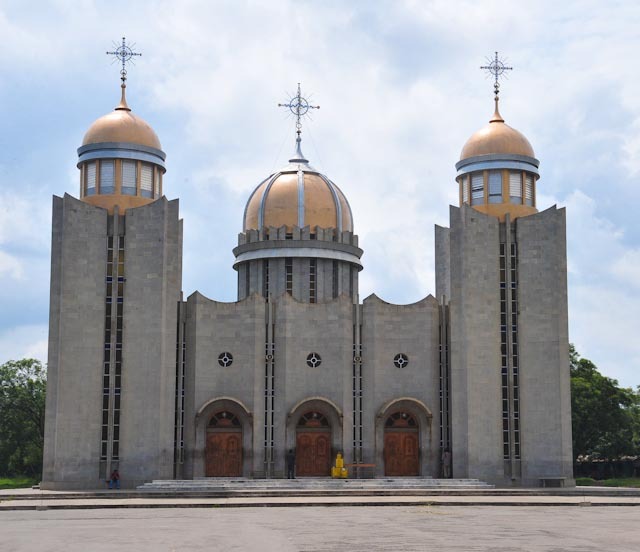 I was primed with anticipation having seen television documentaries on the history, culture and religion of Ethiopia. The terrain was remarkable: high, seemingly impenetrable mountains on the windiest roads ever; hairpin bends pushing Charlie on the dashboard into a spin. On a photo stop, an old, old man walks by like something out of the weird desert-world in Star Wars, barefoot, trunk covered in skins, a stick slung over his shoulder. At the summit of somewhere we take Charlie’s advice and turn off tar onto gravel. A smiling pre-teen offers his version: sand this way 80m, tar this way – double. Slow but beautiful, villages blending then petering out as the darkness was pierced with insects. Weaving in between valleys and rivers, hares bounding, frogs croaking. A young couple walk with a single suitcase. Where could they be going? We weary on in crawl mode. The air is thick and wholesome. Cobblestones mark our entry into Lalibela – a mystical, musical name. All is quiet and sleeping. the Mount of Olives and near the Tomb of Adam seven olive trees were once transplanted here from Jerusalem. The churches are immense and solid, chiseled into the ground-rock so as to be hidden from enemies’ view. The nuns in the courtyards dry the donated wheat from which they make the holy hosts in bake-houses or ‘Bethlehem.’ Blessings are bestowed by bowing and kissing the ceremonial cross in a kiss-bow; kiss-bow; kiss-bow sequence. Each church has its own ceremonial cross, the most celebrated of which is the 7kg solid gold Lalibela cross itself. This 800-year-old antiquity was discovered to be missing in 1997. It was found stashed in an art dealer’s luggage two years later and returned to its rightful place. Enter with shoe-less feet only. Chanting rooms hold old drums representing the Old and New Testaments and cistrums (wood and metal shakers) said to have been introduced by St. Jared with their holy songbook. Worshippers must stand for the entire service in the central prayer room, leaning on their prayer sticks. Then there is the Holy Sanctuary for priests only, hidden by curtains, said to contain replicas of the tabot – Tablets on which the Ten Commandments are inscribed, The Most Holy of Holies : The Word of God received by Moses. Mary and the Archangels and Saints Gabriel, Rafael and Michael are the favourites along with St. George on his white steed overcoming a dragon. 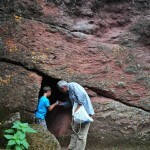 The 13th church is a massive monolithic Greek Cross, Bet Giyorgis, where his hoof prints are imprinted in the entrance tunnel. Many myths, many legends – fascinating and enchanting. Dotted into the cliffs and most difficult-to-get-to-places all around the region. Incredible to ponder on the removal of each single chisel flake. 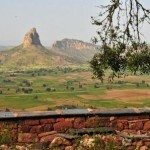 From The Tigrai Tourist Commission office situated at Axum Hotel in Mekele we took a young and knowledgeable guide, Tewelde, with us and were so glad we did. It took the entire day to drive to and locate just three churches. From indifferent, to plain old obstructive, to inviting, we were admitted by each priest into their churches. Martyrs were more commonly depicted here, with a disturbing story of a 3-year-old burnt to death for his beliefs, saved by Gabriel at the Church of Wukro Chirkos. 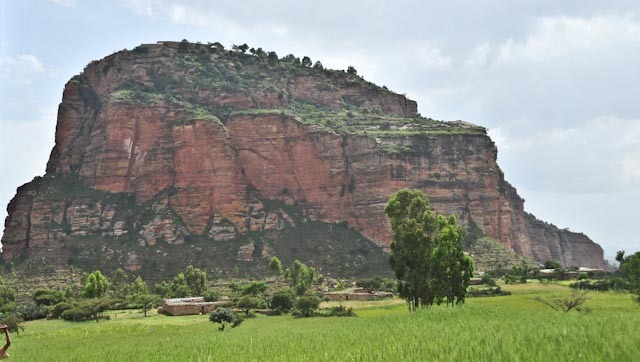 The 14thcentury church of Abuna Abraham or Debre Tsion was the most fun, taking about an hour to climb up the mountain, steep, slippery stairs, higher and higher, valleys getting smaller and smaller below. Into the cavernous, dark interior we entered. The ticklishness is not religiously inspired ecstasy; just fleas underfoot – soon forgotten by glancing upwards at the ribbon-interlaced crosses in different styles in viridian green. The nun offered (not to be refused despite the old tin cans and concerns regarding cleanliness) us a taste of tella- a local beer-brew made from sorghum. In my humble view, it is best regarded as one of those things to try once, and once only. Back down in the valley the enthusiastic priest allowed us to view the wood and goatskin-parchment 15th century ceremonial fan, 1m in diameter with 34 individual panels each painted with a figure of a saint. In Hawzien we stayed at the beautiful Italian Gheralta Lodge with panoramic views and rooms built in the traditional Tigraian style – flat-roofed, stone hudmos. And guess who we met there? Carol, whom we had previously met at Fat Monkey on Lake Malawi! A delightful reunion but none more joyous than Danica. The children created lovely cards and presents for her and they played Scrabble together. We were treated to an extra night at the lodge out of the kindness of Carol’s heart. Thank you, our special friend. The friends with whom she was traveling were wonderful company, world-renowned artist, WWF board member and international award-winning architect, Peter Rich of Mapungubwe fame. It was a great pleasure meeting you all. A sunset scramble revealed stone steps, rock hyraxes, an old game of hollows carved into the stone and Italian soldier’s graves under the massive fig trees. It is a disappointment, this sad, dusty, dejected town that bears no resemblance to its former glory as a centre of major trade and power, with technologically ‘advanced’ and literate populace of 1st century BC to the 7th century AD. 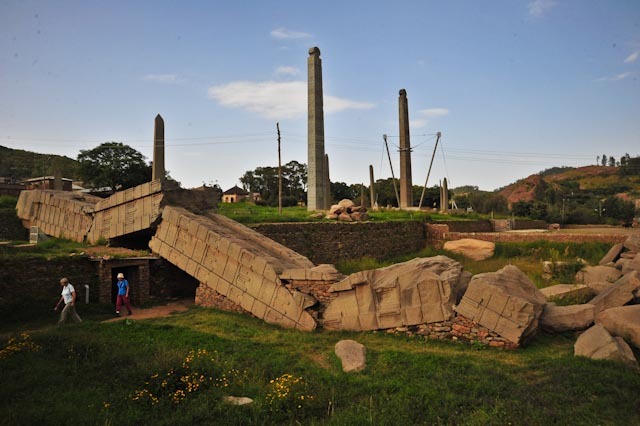 However, the stelae field is impressive with the largest, still standing, granite block standing 23m high, slightly tilted, attributed to King Ezana of the 4thcentury. It is carved with a false door and nine windows. 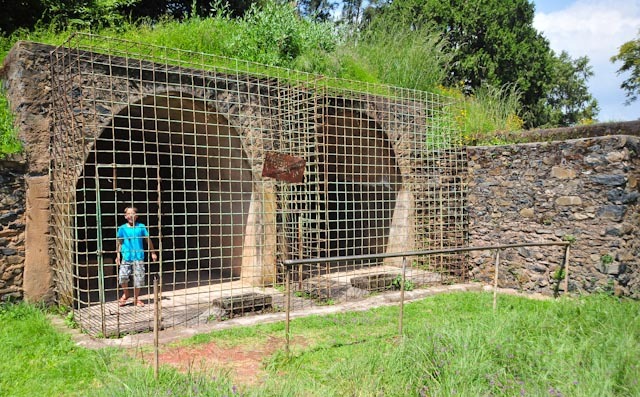 It was supposedly transported from a site 4km away, possibly by elephants, humans and rollers. 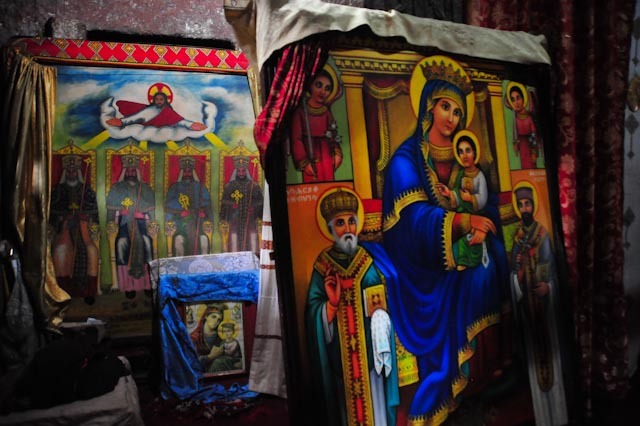 Of course there is the alternative tradition that it was the work of the Holy Ark of Covenant, said to be housed right here in Axum in a sanctified building behind the Cathedral of Tsion Maryam, though, of course, no-one has ever actually seen it. Ezana was the first Christian ruler of Ethiopia, his stele reflecting his power and importance. He was the conqueror of Yemen and parts of Sudan, after all. 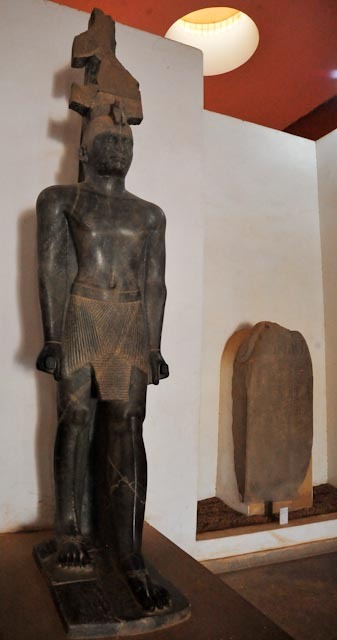 The 3rd century King Remhai’s stele was 33m but its huge 500 ton weight and poor anchorage rendered it to the floor. 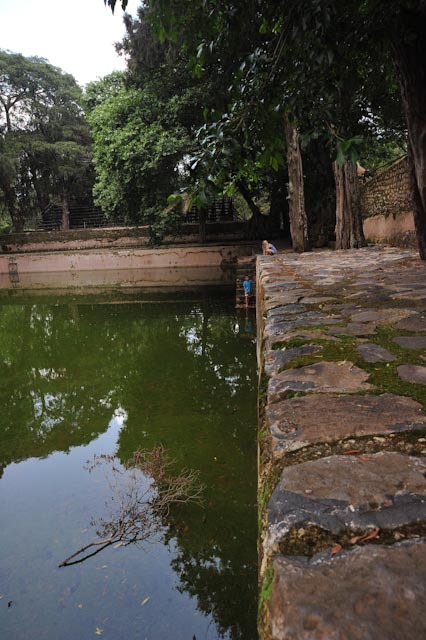 Vaults, mausoleums, tombs, treasure, the Queen of Sheba’s swimming pool – it is certainly the stuff of legends. 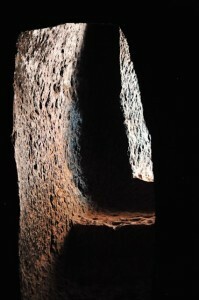 An empty tomb of said to be that of King Basen, ruler of Axum at the time of Christ’s birth. What was wonderful to see with my own eyes (o, ye of little faith!) was the original stone tablet inscribed in Sabaen, Ge’ez (holy language of the priests) and Greek – its significance akin to the Rosetta Stone. A few choice phrases, over-used by our guide, but now used frequently by the de Freitas clan bear mentioning: “Spectacular. Wondrous. Because why? I’ll tell you why…” It is the mystery and wonder that speaks most powerfully. Travelling on the road from Marsabit was dusty, hot and tiring. Nearly 200kms of jarring. Concentration was at a premium, battling to average 40km/h on this soon to be tarred road. After a while I got the feeling I was the only one who did not know about the poor road condition – not much traffic. We were hoping to see herds of Gerenuk out here, alas mostly camels. 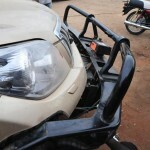 Driving into Moyale, I only noticed the problem as I got out of the car. The bulbar was almost ajar. Moyale has the same name on both sides of the border. The Kenya side looked rather shabby, however I had Kenya shillings, no Ethiopian birr and I had an idea as to how Kenya folk operated. They also spoke English. The guidebook said though that the Ethiopian side of the border was more of a town, tar road and all. And so approaching 17h00, I decided we should cross over and take a chance with repairs on the unchartered territory side. There is a constant stream of folk between the 2 Moyales. 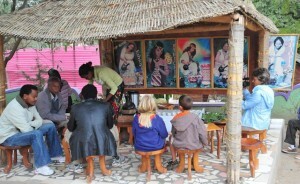 There is no stopping, locals almost accelerate through the border on motorbikes and tuk-tuks. Not the ‘mzungus’ though. We waited for close on an hour for the Kenyan border official to show. They did not seem to want, nor get much ‘official’ traffic between borders. 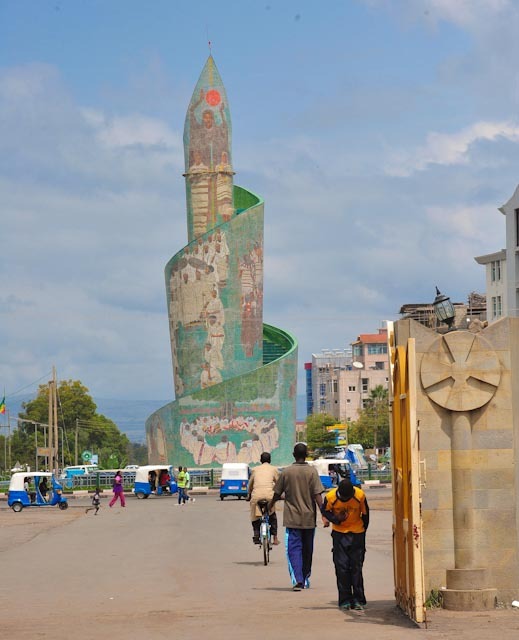 This is probably partly because it is so difficult to get an overland Ethiopian visa. Other friends like Carol and co had to omit Ethiopia because they did not have a visa. 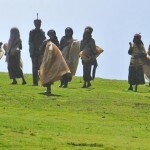 There is no shortage of folk wanting to help on the Ethiopian side. Money changers, hotel finders, car washers, it is over whelming. 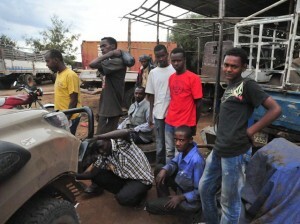 The Ethiopian border officials ask for an inventory of electronic goods and on the most part, were fairly easy going. The hotel in Moyale was cheap, although you get what you pay for. They did have a proper clay oven and so the food was good, serving delicious thick based bread which was hot and served with honey as well as other local dishes like injera. Brook was a helper I sided with, quite frankly I had little choice. I needed someone that could speak English and someone that could change USD to birr. Brook was really a good bloke, and left me embarrassed at my lack in faith in humans. 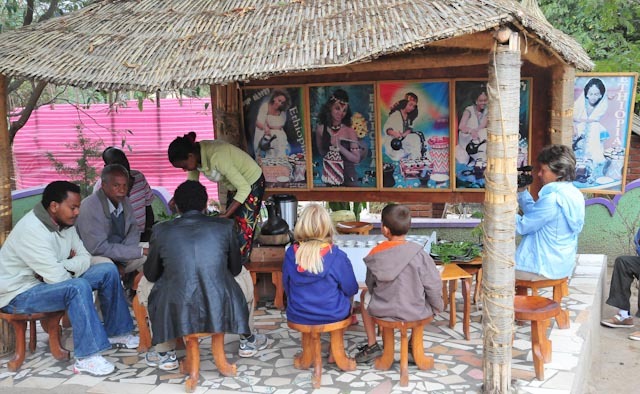 Coffee as the primary export of Ethiopia, coffee ceremonies are an important part of Ethiopian culture. 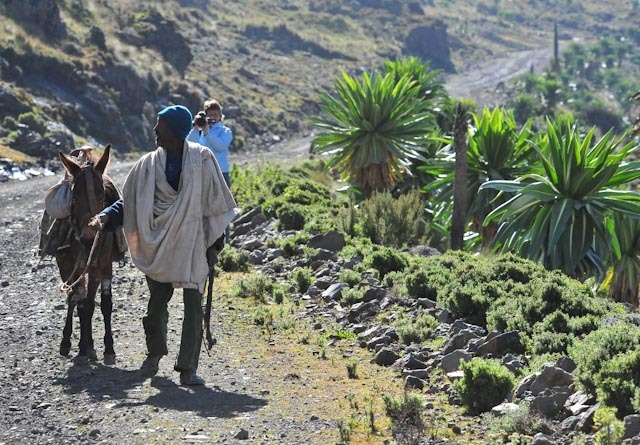 The roads in Ethiopia are relatively good, that is until the livestock and people appear, on the road, always. They also drive on the wrong side. 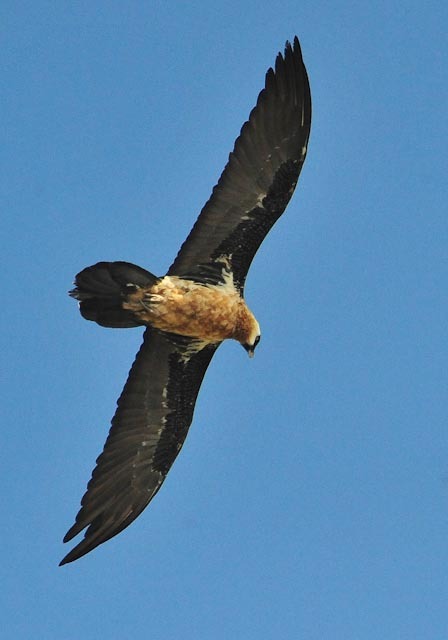 Yabello yielded Streseman’s Bush Crow and White-tailed Swallow. We could not spend too much time, we needed to get to Lake Awasa, and because we were going to come back the same way, we could have second dibs on any special birds we did not get first time around. The Rift Valley Lakes are close together in a fairly straight line. The hotel we were looking for had ceased to exist. There were no more lavish gardens full of birds, but in its place a new road. Its advertising board was still up though. After visiting 3 other places that were all full thanks to it being Ethiopian New Year weekend, we settled on Halle resort, owned by the famous Halle Gabre Selasse multiple world record breaker. Clean linen and hot showers, items normally taken for granted were appreciated and welcomed. and Black-winged Lovebird. The main idea of Haile though was that Danica & Nicolai could have some down time. Table tennis, swimming, television, mini-golf, horse riding, basketball and other kids. I could catch up on some work with internet, and we could recover after our rattle and roll drive. The Italian influence allowed us to enjoy some good cuisine sans ‘proscutto’ and sans ‘pollo’. 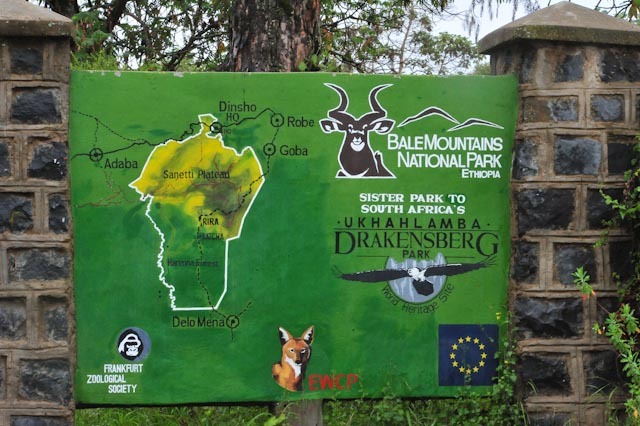 Danica & I especially were excited to visit Bale and the home of the rarest canid in the world and the rarest carnivore in Africa – Ethiopian Wolf. We had also decided that we’d give Bale the opportunity of providing the lion’s share of the Ethiopian endemic birds, and then we’d fill in the gaps thereafter. Arriving late afternoon at the Bale National Park headquarters, jaws dropped when we saw our accommodation. Lousy. There was no other option so we had to make the best of it. Drizzly weather further dampened our mood. The plumbing could not handle toilet paper, so after your number two, you would have to wipe and put the waste in a bin. Needless to say, we did not go for two days. 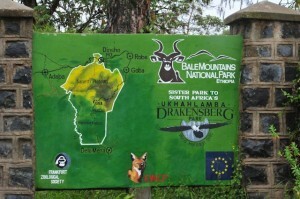 We managed a walk to the offices alongside the park HQ, in search of a booklet that was recommended on the Bale Mountains National Park. We were pleasantly surprised to meet Anne -Marie and her friend Zoe. They offered us a cup of tea. We shouldn’t have but did. It was super. 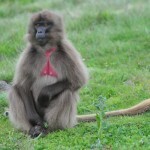 Anne-Marie is a South African that has been heading up the Simien Wolf project for 3,5 years. She has a British husband who was away, doing some fund raising in the USA. They rely on external funding. But it was great to have some proper coffee, spekulaas, and notice that they had such a snug and comfortable environment in such harsh conditions. Even their tea-bags they kept. Used ones soaked in paraffin make great fire-lighters. Anne-Marie was awesome with the children, full of beans. We spoke conservation, the threats to the wolves and rhinos. We wanted to stay, the whole evening but we could not overstay our welcome. So we forced ourselves out. Anne-Marie was full of good advice, such as who to speak to at EWCA (Ethiopian Wildlife Conservation Authorities) and where to get a hot shower. 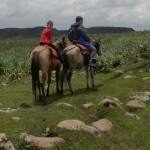 We were in the Bale mountains in the rainy season. We did not know, but we would have come anyway. 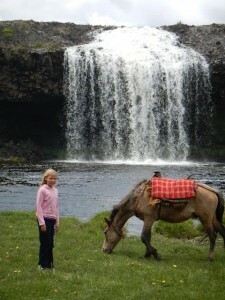 We awoke the next day, having scheduled a day trip, through the mountains on horse-back to the waterfall. Celeste was not keen – she likes horses, but not riding them. The kids were thrilled and even though it was raining steadily, they would not hear of cancelling. We re-scheduled the ride from 08h30 to 09h30 in hope the rain would stop, and quite frankly the horses were nowhere to be seen. I admired Celeste’s courage, although she did try what she could to postpone/cancel/get out of the trip. 09h30 the weather had cleared. Danica & Nicolai were smiling. “I don’t want the man to lead my horse,” Danica said, and so it was. Nicolai nagged and after a while he was leading himself too. we noted and had good sightings of on the ride. 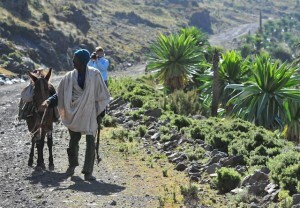 There were lots of people and livestock, this seemed to be the trend in Ethiopia. We travelled along the Web valley towards the waterfall. We trotted and walked, if the horses got into a canter, there was a shrill cry from Celeste, and we all walked again. The horses were impressive, managing on tricky, rocky slopes. The waterfall was impressive too. Lunch was a mix-up, and we landed up sharing what we had with all. Then the rain came. We were brave at first, but after some time, sought shelter in a nearby mud-hut. The humble Ethiopian family was most welcoming and full of smiles, getting a fire going whilst we tried to keep our spirits up with humour as we staved off hyporthermia, Nicolai being the main concern. How sobering, being all huddled around more smoke than flame, wet right through helpless to the elements. Half an hour felt like three, but there was a break in the weather, and we took it, making it back in the drizzle. 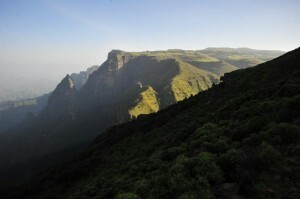 Bale Mountains are one of the standout regions of Ethiopia. The high Sanetti Plateau gets to minus 5 at its coldest, with seasonal snow. We were happy that it stayed around 10 degrees while we visited. There were rodents everywhere on the Plateau. This is a good thing. 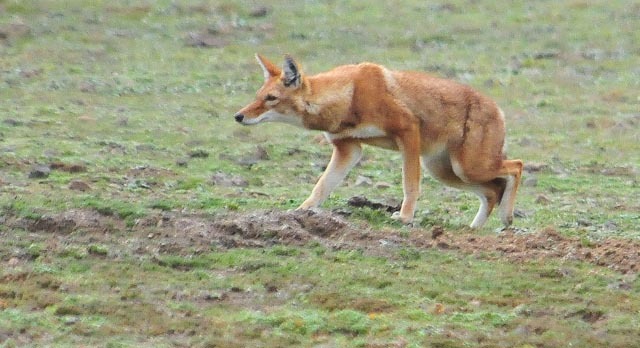 The preferred food of the Simien Wolf, we were awed watching these rare canids hunting. Elegance personified, they trot confidently, then stop, listen and suddenly pounce. They really seem like happy creatures, warm and protected from the elements with their roasty fur coats and smug smile. 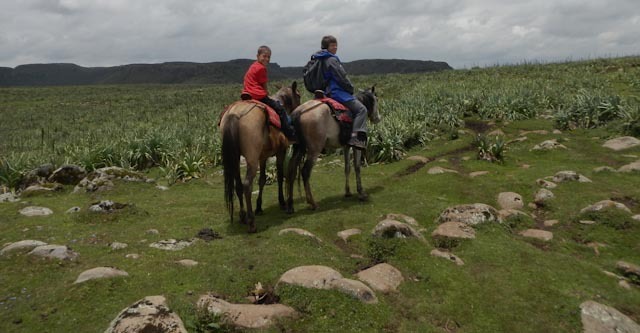 Bale Mountains National Park – Saneti Plateau onto Harena Forest. Shoobee doobee do, this landscape is fantastic. Sanetti Plateau reaches 4377m and is absolutely unique in nature. 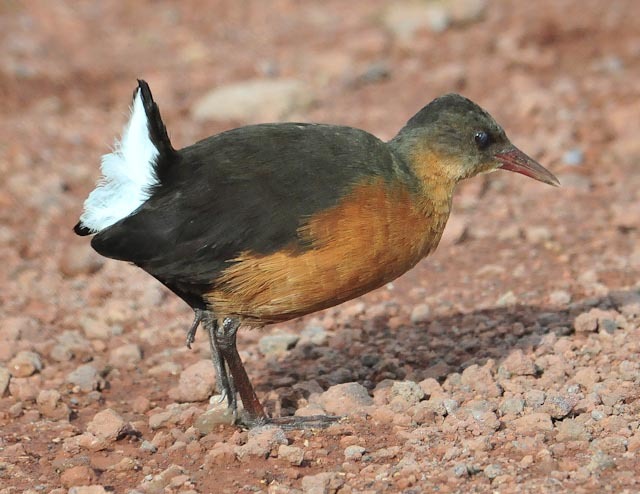 Despite being described as Afromontane, it has a rainfall that exceeds 1000mm per annum. 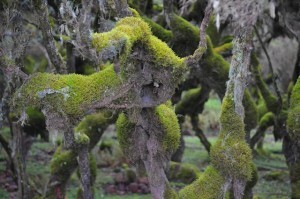 There is often mist over the escarpment, and few plants can survive up here with the ancient moss and lichen. Giant Labelia dot the landscape with their special adaptations which include their leathery leaves and tucked away flowers which avoid freezing. 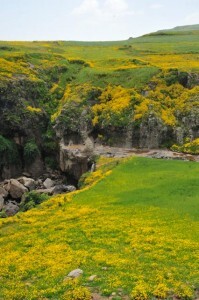 The following day we went over the plateau and down into Harena Forest. At this point, air is forced up the escarpment, the result of which is continual topographical rainfall. The escarpment acts as a catalyst for the typical mountain weather that occurs in these parts. 15 minutes of rain, followed by 15 minutes of sunshine and then 15 minutes of wind, repeat. 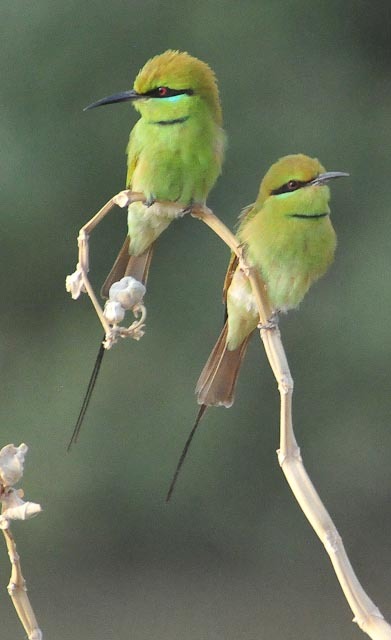 When we arrived at the Harena Forest, we explored and soon noticed East African Swee, Somali Bee-eater, Brown-rumped Seedeater. 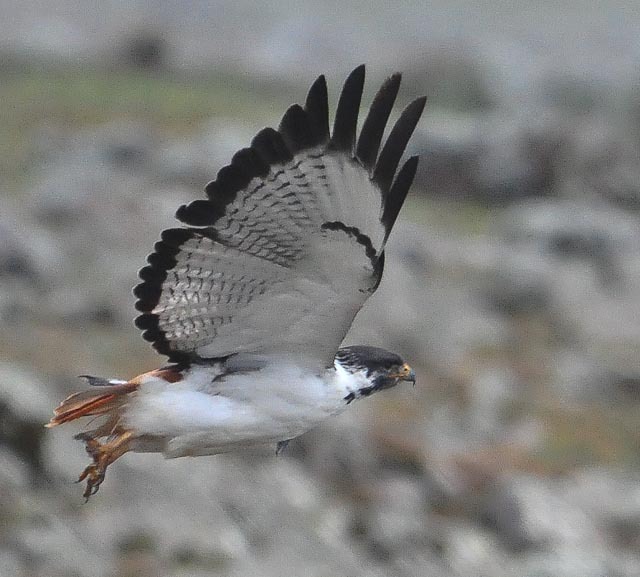 They were extremely active, seemingly taking advantage of the break in the weather. The clearing at the Katcha campsite looks onto the escarpment and possibly the most pristine area of the forest. There is a gentle stream that flows through the clearing and every now and again cows and horses appear, with the odd herding adolescent. I was lured into a level of comfort and enjoyment looking on these part endemic, part boisterous feathered jewels White-cheeked Turaco, boiling water at the back of Staffie for some tea and Coffee. It was approaching 14h00 and we had missed breakfast. Blissfully unaware, our faulty battery was not coping with lights that were on in the vehicle with doors open, etc. Needless to say the setting seemed to ensure the coffee tasted even better than normal. Once packed up, one spark, two but no uptake. 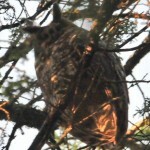 Like a rattle at a soccer match, and a shriek from Celeste – confirmation we were going nowhere. I got out the jumpers and connected them to the auxiliary battery, maybe. Splutter, splutter, better but no take. I got out the solar panel and thought to get the sun to charge up the battery. The clock had been ticking and the rain’s turn had come. It started off as a drizzle, and the solar charger registered a trickle of a charge getting to the battery. It started raining harder, getting darker too. We were about 10km from the nearest village, it was not looking good. “So what’s the plan?” Celeste asked as I climbed into the car avoiding the heavier rainfall, 3 pairs of eyes fixated on their husband/father. I had tried to engage with a nearby herd boy, requesting him to summon someone with a motor vehicle. I was not hopeful, but relayed the message to the family. With the hood down on the charger, rain pouring down steadily, I suggested to my frustrated wife that there were two options. The first was to wait patiently for the sun, which must be up there somewhere past the inky blue clouds, to charge up the battery. Although this was theoretically possible, was it a realistic option? We had come down the escarpment through continual cloud cover and the clock had seemed to jam, there was no sign of the clouds clearing. If it got to 17h00, and the battery was not charged sufficiently, we would be in an even deeper fix. The other option was to leave the family in this foreign place, miles away from anyone they knew, and go for help. This was probably the better option I thought. I packed my pockets with mobile phone, GPS, some cash and gave Cel the estimate that I’d be back in about two hours. 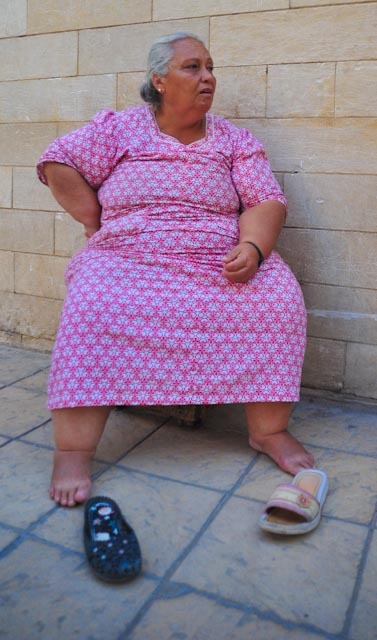 She said that the village was further than that and what should she do if …? I said not to worry and I’d return before dark, worst case scenario, we’d sleep in the car. With the rain bringing the temperature down to about 8 degrees I set off. It was better than sitting around and waiting. 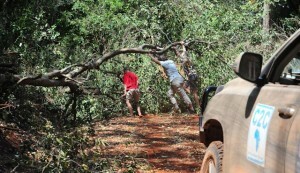 The dead-end road from Katcha campsite twists and turns for about 3kms until it joins a bigger twistier & turnier road. From the junction, the road climbs steeply to the one horse town of Rira another 10kms away. I was some way up the road when I heard the sound of an engine, yes, yes a bus. I took my hood off to show that I was a respectable faranjiand started flagging down the bus desperately – it simply had to stop. It had no choice, the road was not very wide and I was in the middle of it. 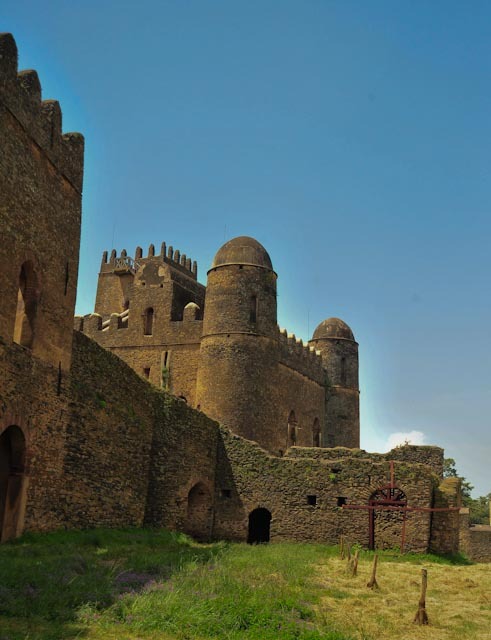 Celeste had aided me with a few translations jotted down hurriedly in a notebook, and so immediately I said help, car in Ethiopian and then in English – battery and then in a charade type way, acted out death. The heads hanging out the bus window laughed, probably more at seeing a sodden, helpless faranji than anything else. Not far I said, repeating the broken sentence to other folk that had emerged from the bus. I was offered a seat on the velvet upholstered roof of this un-roadworthy passenger vehicle, designed for about 30, but carrying about 55. ‘Salam’ I greeted the passengers as I entered the vehicle. There were some laughs and then a lady near the front argued with the driver, probably because she did not feel like a detour. My seat was an empty, used 50l oil container, and I sat showing I understood their gesticulations and politeness. As we approached the junction and the turn-off to where the vehicle and family stood waiting, I mentioned to the men that it would not be possible to push the vehicle as it was an automatic. The penny tinkled and clattered as it dropped as the driver stopped at the Kitcha junction ‘not possible’ he said. ‘Battery no energy’ with me standing on the side of the road, he turned the vehicle around on the road, leaving its nose facing down the hill to later jump start the engine. He then switched the small buses engine off. He continued to prove to me by trying to start the bus, which clearly was not going to happen. His battery clearly had no energy. At this point I did not know whether his battery was gone or his alternator not working, but this was the tipping point of inconveniencing his passengers. With little English between us I said ‘not to worry – it’s ok’ and said good bye. One of the bus assistants gave me a piece of chewing gum, as he climbed into the bus, banana flavoured, I guess in an emotion between pity and apathy. So I was on the same road again walking in the rain towards Rira. Just short of an hour wasted, I smiled at myself – despite the good intention of the folk in the bus, they had wasted my time. I was not too phased, but it was now 15h00, and there was no more room for error. I had a weird thought that if we landed up spending the night in the motor vehicle, and there were any un-savoury characters on the bus, we could be sitting ducks. No room for negative stuff, focus on the task at hand. I walked much further on the road this time. There was a break in the weather and there were birds frittling around on the canopy. An old lady and her son herded their two laden donkeys. It seemed they had just come from town, having done some trade. I greeted them with a smile as they passed, I got a ‘eh’, looking down as we crossed over on the road. At the top of one of the switchbacks, there was an approaching bus, coming from the opposite direction. I flagged the vehicle down, the driver seemed like an Indian man, with a lighter coloured skin. He spoke better English and quickly understood my predicament, ‘1000 birr he said harshly’. This was extortion in action. The equivalent of a poorly paid labourers monthly wage for probably 10 minutes assistance. I shook my head and said 500, knowing I had little choice, we agreed on the lower amount. Being the 5th person in the cab, the trip back to the stationary vehicle was tediously slow. I was anxious that the truck would say it too far and renage on our arrangement. I needn’t have; he was getting paid well. I was surprised to see another vehicle next to ours there was a small crowd of folk, and Celeste was out the vehicle hovering around the bonnet. I asked how this vehicle arrived at the scene, Celeste did not know. He was undoing my battery, replacing it with his. Jumpers had not worked. This was the right thing to do. Unfortunately the terminals were the wrong way round, and with my cables too short, the bloke that had driven me to the scene, set about taking one of his batteries out. Staffie jumped to life. 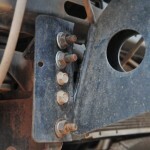 An easy problem to solve in a 1st world environment, has cost a fortune in time and money to solve in Ethiopia. I asked my bloke if I could split his payment with the other helper. I got a cynical grunt, “400 birr”. 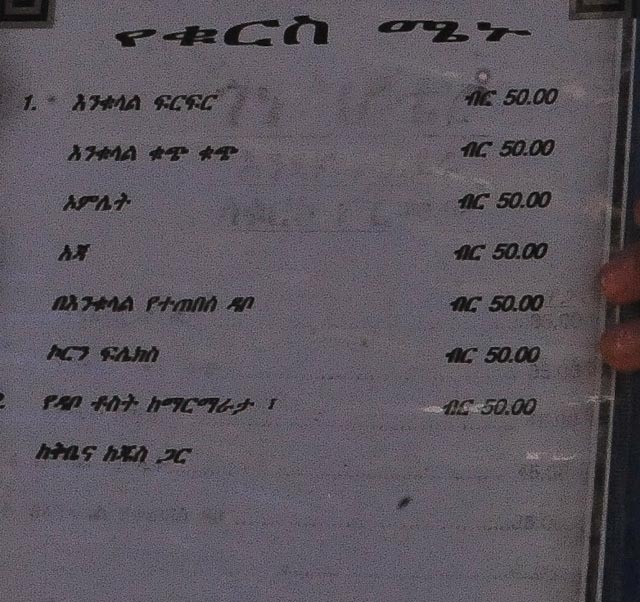 I had agreed to the fee, so I paid each 400 birr. I asked Celeste where the other driver had come from. There are very few cars, correction, no cars where we were stranded, so how did he arrive? It turned out that one of the folk from the bus had told him of our predicament, and he had come to our aid. His demeanour was different to the bloke I’d come across, but how was I to know? Problem solved, I had learnt another lesson. As we entered this dry land I remember voicing: “I was hoping for more than this,” but how wrong I was! There is a Kalahari feeling, early morning light tipping the Stipagrostis grass, plains ringed by hazy, blue mountains shielding the horizon. I know I am showing my age when I not only remember the John Denver ‘Blue Ridge Mountain’ song, but even remember it fondly. We stay at Bwatherongi Bandas alongside a stream. The accommodation feels like home, simple as it is. We are all alone here in the thorns and heat. There are two bedrooms with refreshingly cold water showers, a central lounge, large stoep (veranda) and braai (fire area) place outdoors. Our kind of place. 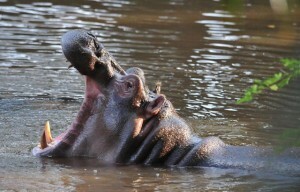 We wallow in the pool with the midday heat tipping in the late thirties before heading out into the bush. We pass Kinna airstrip and its listless black-and-white windsock before encircling Elsa’s Kopjie (Hill). The Large, spread-out herds of giraffe are common, but skittish. Bushbuck graze (or ‘grass’ as the Tanzanians say) daintily in the river thickets. 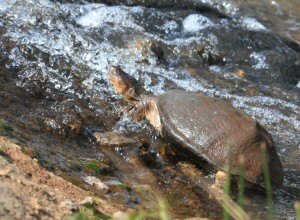 The Rojewero River is a gift in this wilderness, palm-lined and hosting the biggest terrapins we have ever seen. 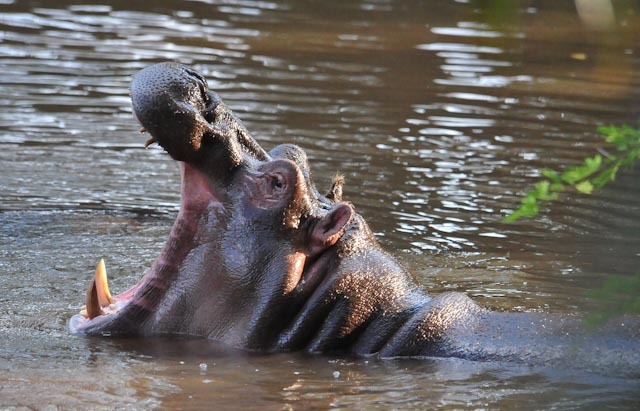 Hippos are doing their thing, snorting, grunting and bubbling from behind; the largest male with a massive head displaying his cavernous mouth for good measure. ‘Measure this and measure your distance.’ Crocodiles sunning and swimming at the wooden deck look-out seemingly lazy, their nonchalance misleading. Baboons cavorting, monkeys plucking, and African Fish Eagles perches with his substantial catch. This baby elie did not make it. Was it the lions? “What’s that smell? Is it the elephant carcass? No, it’s coming from over there.” As we round the bridge bend the stink intensifies. 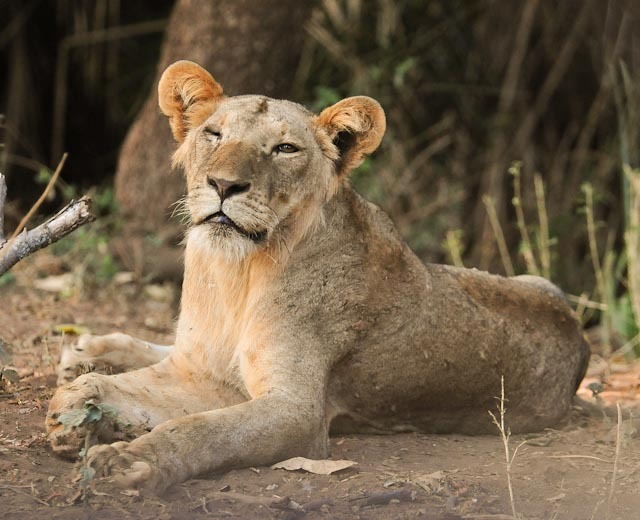 A pride of lions: a lioness in her prime with some gangly, partially-spotted youngsters. We re-visit this spot twice more in the next two days, inquisitive to see what they’re up to. They are in an excellent position and know it, hardly moving. I wonder if all their lazing around conserving energy does not impact on their muscular condition. Two famous graves give us food for thought. Elsa, who was released here by Joy and George Adamson, and Duma, the cheetah. Danica, tearful, refuses to alight from the car or to even look. We picnic on the rocks at the Adamson’s Falls, cheese on rolls and even some ‘fishy eggs’ caviar which no-one else would eat, gifted to us by Jessie in Nairobi. Marcelo had already met with the main warden of Meru and the warden for this entire region of KWS (Kenya Wildlife Society). Here they have an 80km2 sanctuary with about 50 rhinos, minus one, which had been poached the week before our arrival. Understandably, the two gentlemen were in a somber frame of mind and still emotional over its loss with no arrests or leads as yet. Near the Murera Gate stands a buffalo statue erected in 2010 by the Honorable President Mwai Kibaki to commemorate the eradication of rinderpest in Kenya. 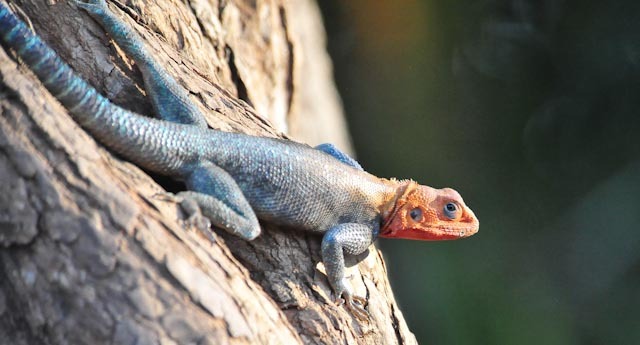 The lasting mood and treasured memories of the evenings in the dusty dusk, preparing supper out by the fire, agamas on the hot rocks, Eastern Plaintain Eaters complaining, impala and waterbuck parading past. As night falls we startle at a loud crashing through the bush of the stream. We shine our light up, and up – a giraffe. Paraffin lamps aglow, thorns underfoot, the dusty day gives way to the bats swooping in front of the stars. Past the outpost hamlets of Isiolo – a real frontier town with turbans and camels and windblown dust and flies and not much else. Ewaso Ngiro River and Archer’s Post are much the same. A male Somali ostrich and then twenty thin camels emerge through the heat shimmer. The simple Samburu manyattas are so simple and eco-friendly, just a bent stick framework and hides – contrasting with their bright red Shukas (robe cloths) and abundant beaded jewelry. This is the setting of the widely-read novel “A White Masaai” by Corinne Hoffman and having borrowed it from our friends, the Sharpes in Nairobi, certainly added a depth and texture to my understanding of this area. 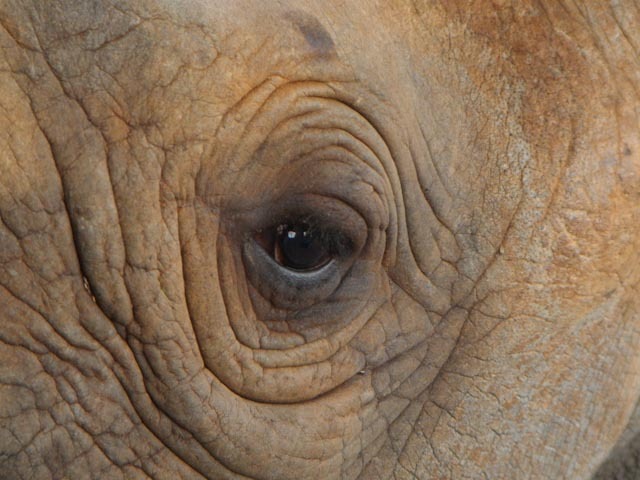 The elephants with mighty tusks are understandably shy due to the previous poaching history and come down to the swamp and salt lick only before sun-up. Although we did not see any with our own eyes, signs were abundant – huge, creased footprints; smaller parcels than their savanna cousins, but big on tree toppling they are! Whilst exploring we maneuvered four out of the road but were defeated by the fifth. Disappointed, we had to turn back. It is said that for an estimated 63 years Ahmed with tusks of over 100kg was patriarch of the forest – he was guarded from hunters by presidential decree. Sitting on the veranda of our room at the stone and wood dormitory-style Marsabit Lodge we overlooked Gof (an extinct volcanic crater marshland) Sekorte Diko enjoying the toy-size buffaloes giving scale to the Gof’s immense size. 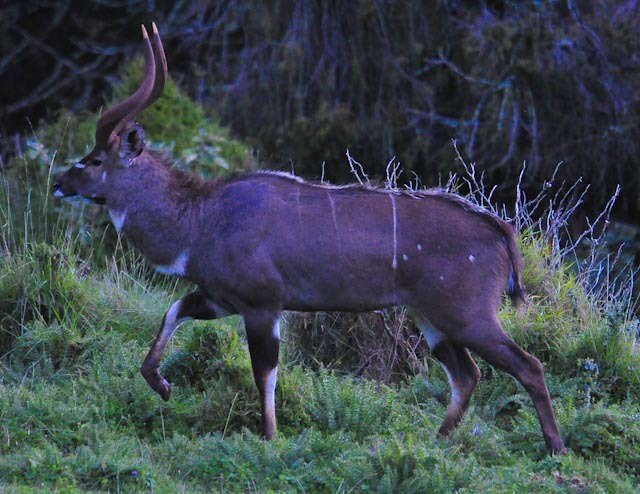 The still evening brings with the creeping mountain shadow a shy bushbuck. Augur buzzards and Ruppel’s Vultures draft over. 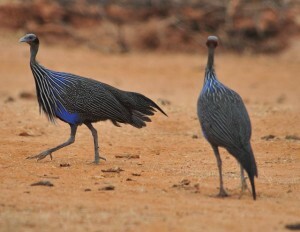 Busy amongst the grasses flit the Bagaflecht Weavers and Vulturine Guineafowl. Alex, the lodge manager, is friendly, efficient and a businessman of note with many years of experience worldwide. He went out of his way to make us feel welcome, chatting to us and sharing his interesting history. Down, down into the crater lake strewn with pathways through the greenery there are minute ducks and teals. We descend into the crater area of Gof Sekorte Gudo otherwise known as Lake Paradise to swooping African Fish Eagles playing with the wind and chasing one another. Peaceful. Timeless. Despite the wondrous tranquility however, we are all restless and on edge. An unexplained feeling most likely related to our tough journey ahead through traditional bandit county of Northernmost Kenya where some still travel in convoy to the Moyale border of Ethiopia and beyond….